The AKAI CD-A30 is a CD player from the 1986 AKAI line-up, a second generation CD player. 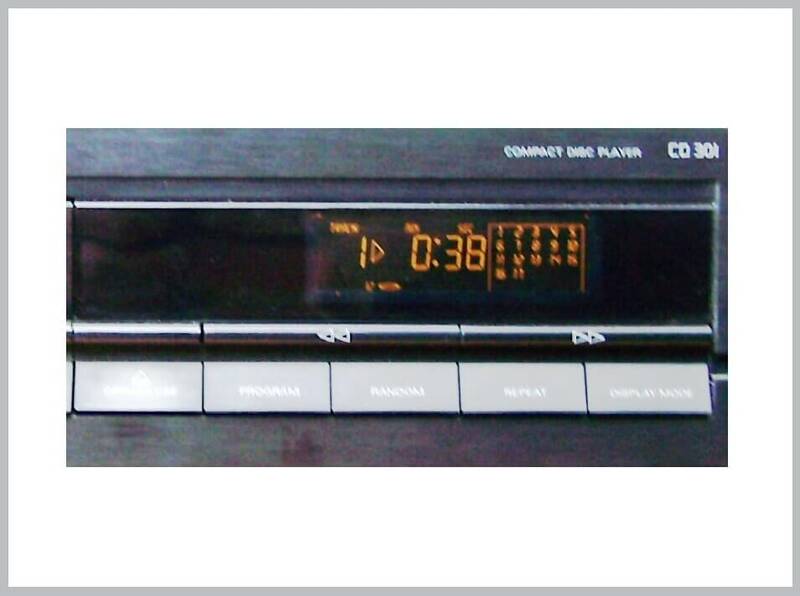 It features simple operation with added random program and quick acces system, time display, but no remote or headphone output. 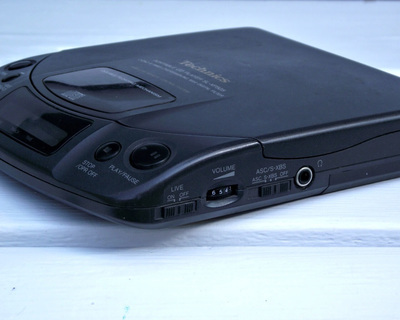 ​The headphone output was added to the second version of this CD player while the black unit was also available with large anti-resonance special rubber feet. The front panel is plastic but the unit is still fully functional (now in 2013, and in 2017). 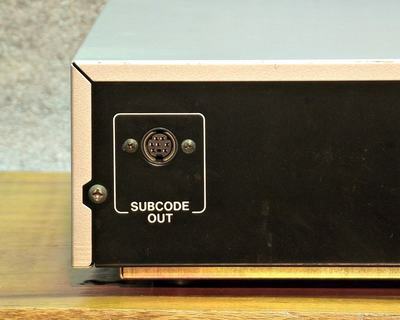 The subcode out is a feature that can not be tested as this system never became operational. The idea was to send information that can be displayed on a screen, like disc info, player status etc. 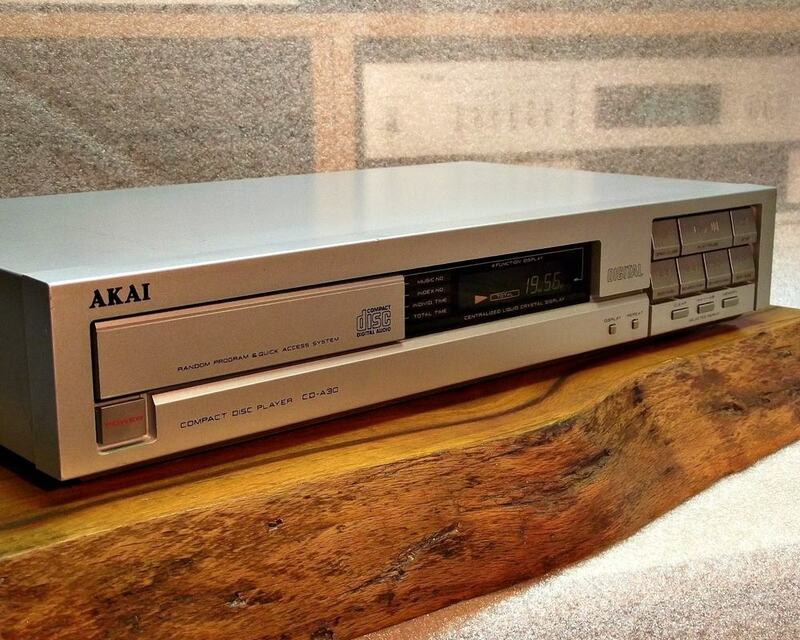 The AKAI CD-M1200 is the last genuine AKAI cd player that was already made in Korea as part of the AKAI 1998 line-up. 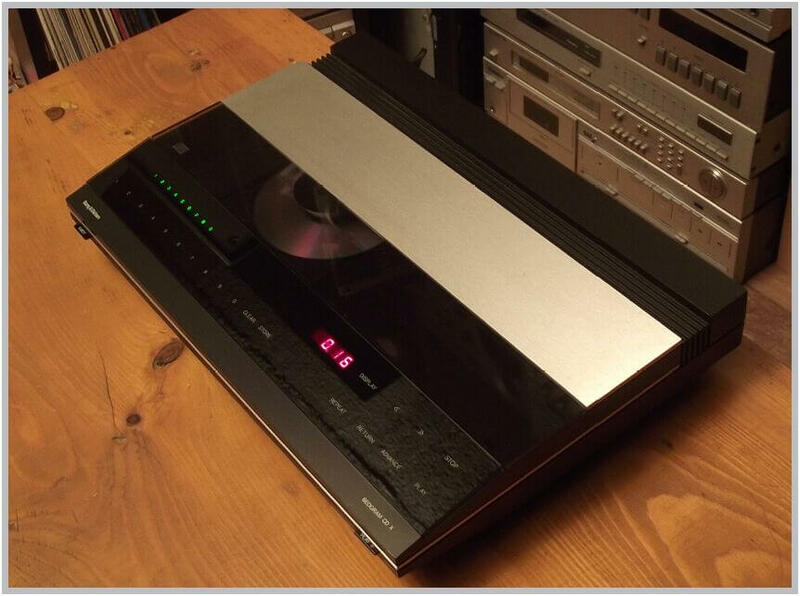 Behind the black aluminium front panel there is an elevator-style 7-disc CD player that uses a Delta sigma 1 bit D/A converter and 8 times oversampling for the finest audio performance. 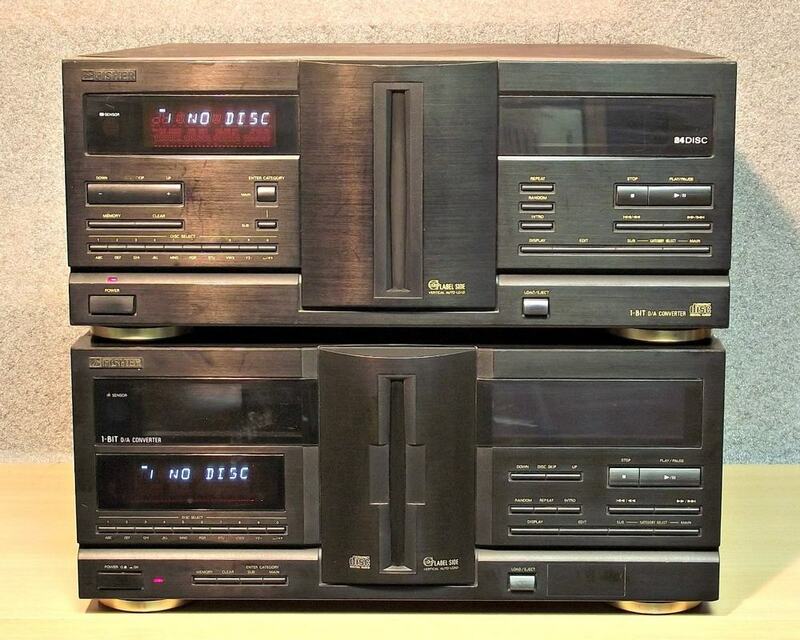 The elevator-style CD changer is similar to the one that was used in the Nakamichi Music Bank system. 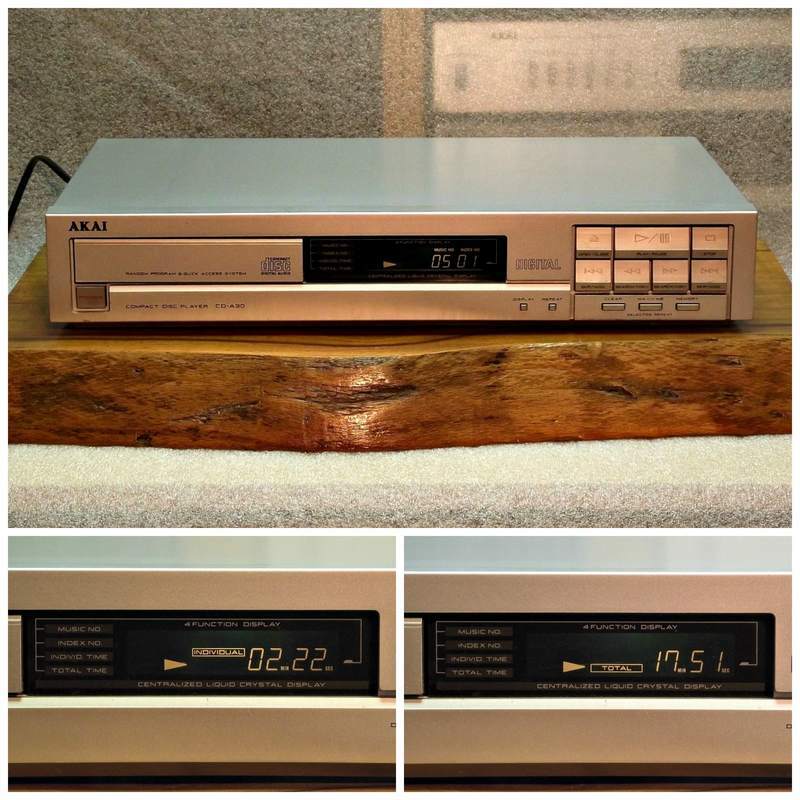 That's no surprise as AKAI, Nakamichi and SANSUI were by this time, part of the same Grande Holding group. 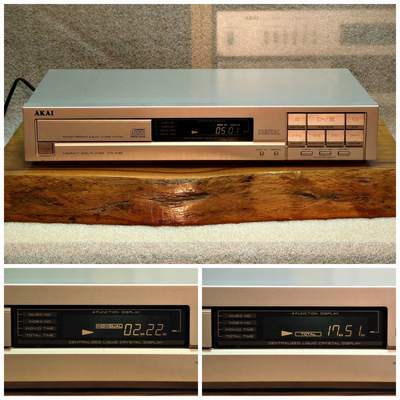 The unit can be remote controlled as a single unit with it's own remote or it could be remote controlled in an AKAI system. 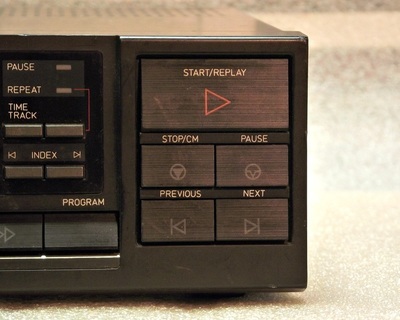 There is a switch at the back to select single or system remote control. Besides the usual analog stereo output there is also a digital optical stereo output. 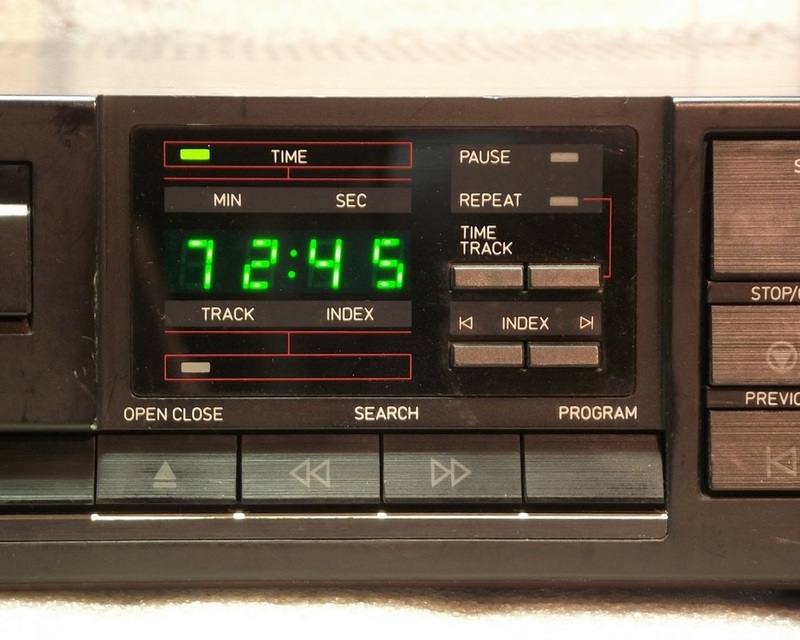 Track skipping and programming of tracks is achieved via a large jog button on the front panel. 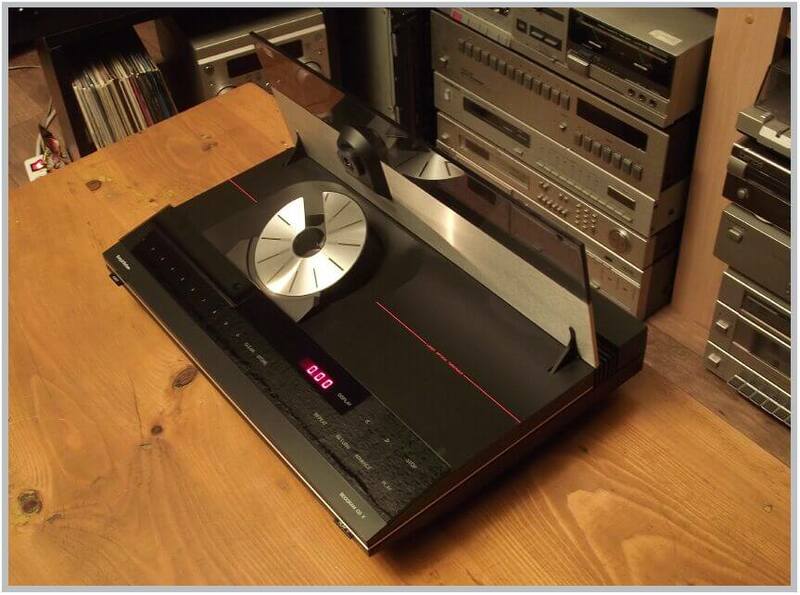 This beautiful cd player was designed by Jacob Jensen as the BEOGRAM CD X and was available from 1985 to 1988. 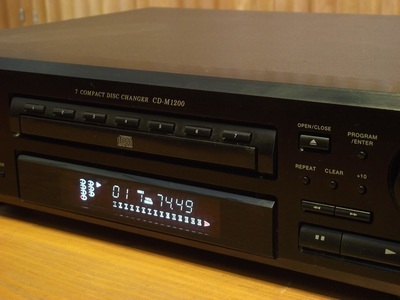 It is a first generation CD player using a 14 bit D/A converter that comes directly (with the CDM 1 drive) from the PHILIPS CD104. 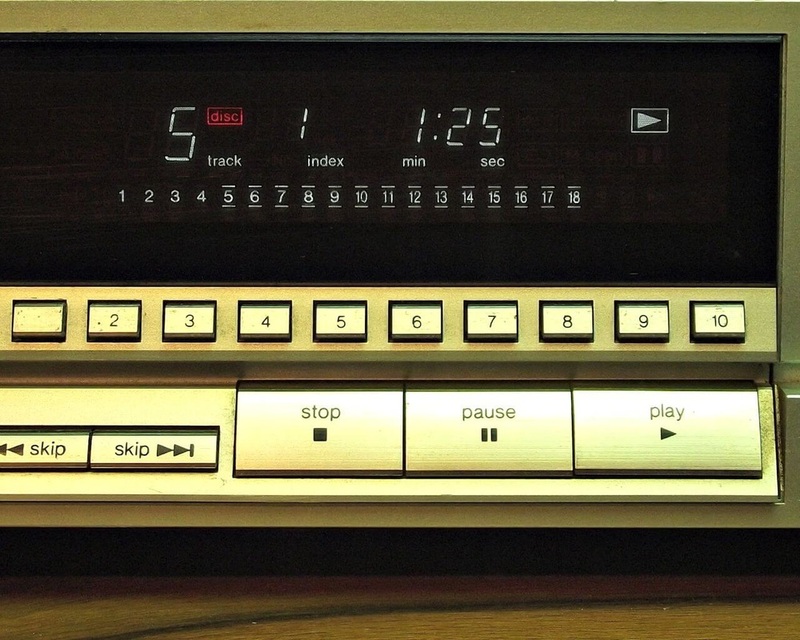 It is operated via a featherlight touch glass control panel. 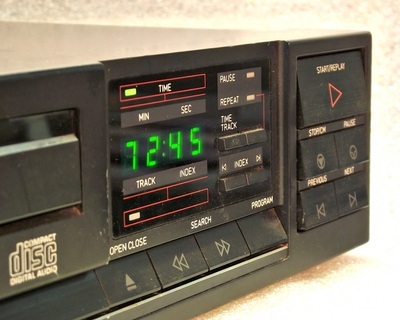 You simply touch the lettering on the glass panel to PLAY, STOP, Select track,etc. 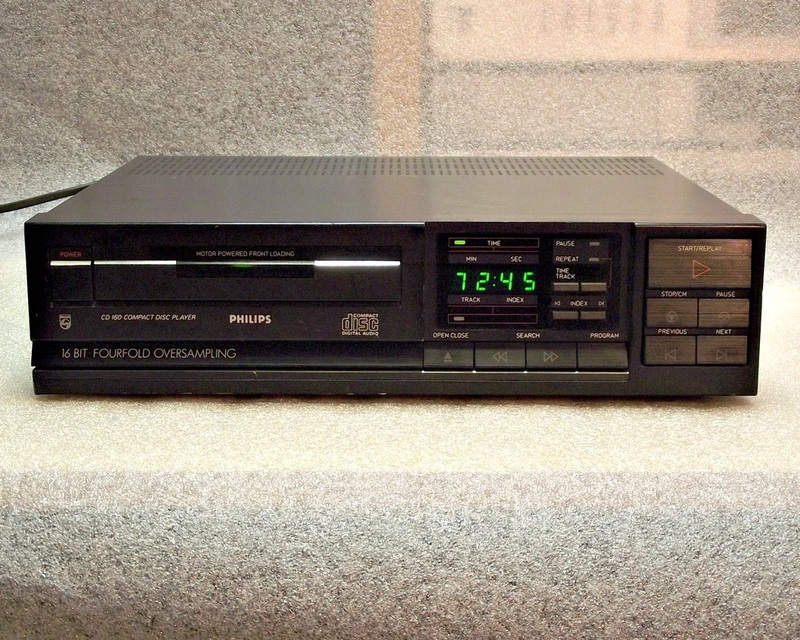 It has no remote control and can be connected to any amplifier like the BEOMASTER 2200 using the RCA plug cable that the unit is equipped with. 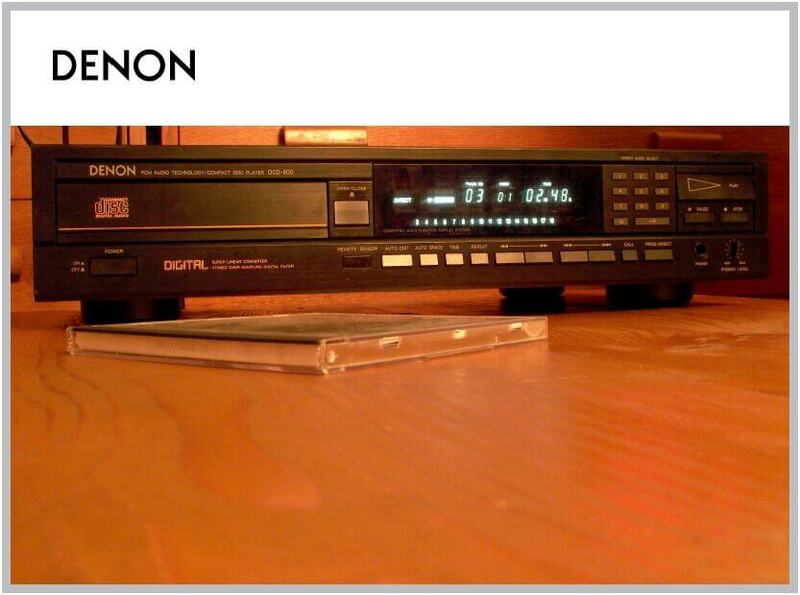 DENON CD players were allways famous. 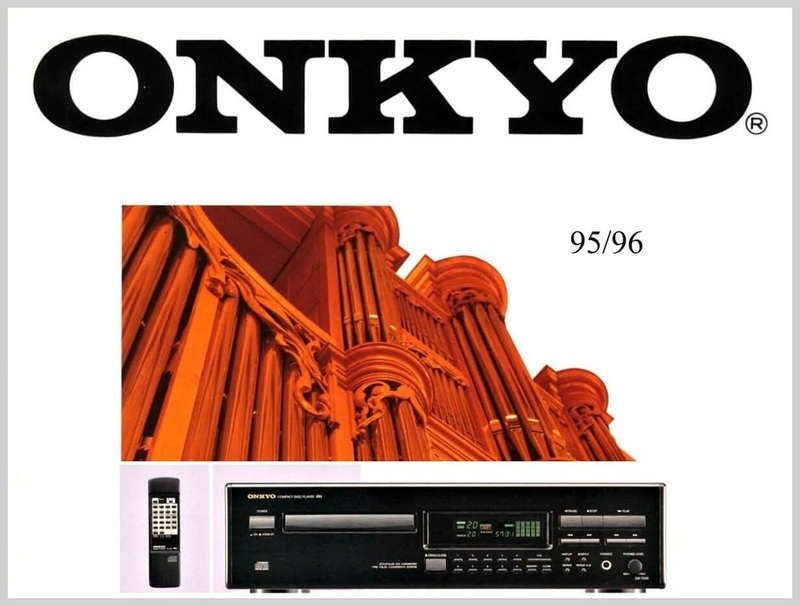 From the brand that was leader in PCM audio technology, this is one of their earlier models, fully equipped with all the features, big display and remote ontrol. 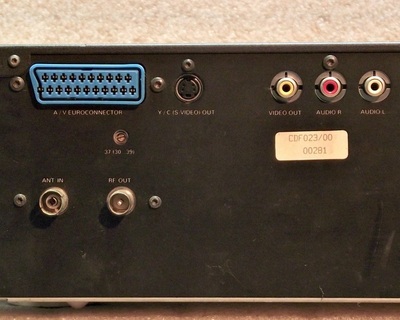 There are outputs with fixed and variable level. 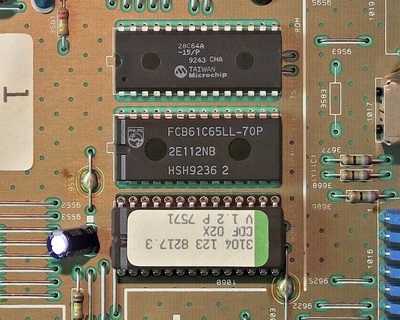 The output level can be controlled only with the remote control at values that are indicated on the display. 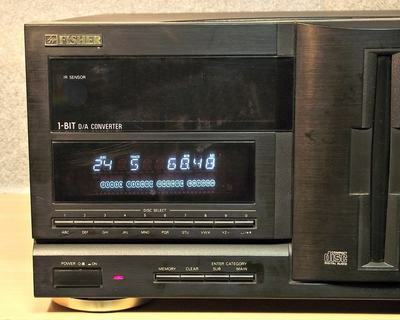 The converter is a "super linear converter" working with a "4 times over sampling digital filter"
​Compact disc changers were extremely popular since their introduction. 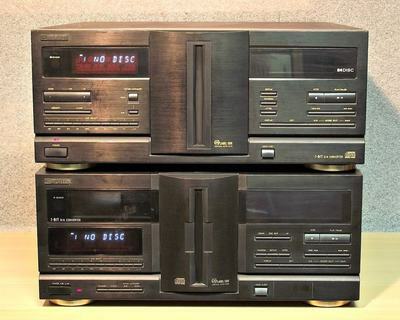 The first changers used removable magazines holding six to ten discs while the next step was the introduction of the home carousel changer, holding up to six discs on a rotating platform that turns to place a disc on the playing spindle. ​The FISHER Studio 24’s mechanism incorporates a nonremovable rotating magazine with slots for twenty-four standard-size CD. 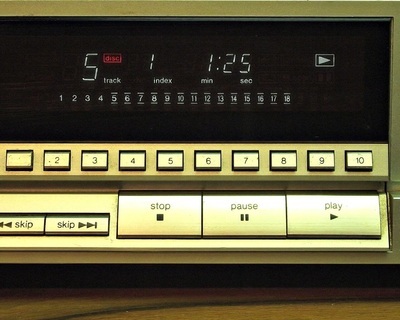 The discs are loaded, one at a time, through a vertical slot in the front panel that is normally closed but opens at the touch of a button. 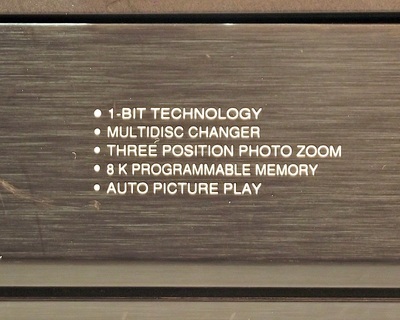 The Studio 24 also offers a means of classifying the discs and displaying this information on the aplhanumeric display. 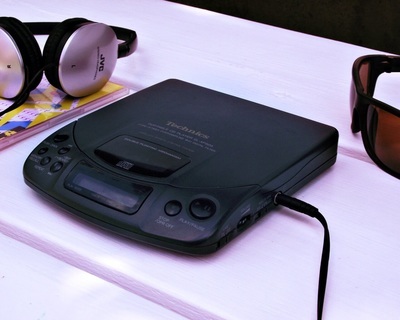 It has seven built-in music categories, designated as Rock, C/W (country-and- western). R (rhythm-and-blues), Jazz, Easy (easy-listening), Show (show tunes), and Clas (classical). 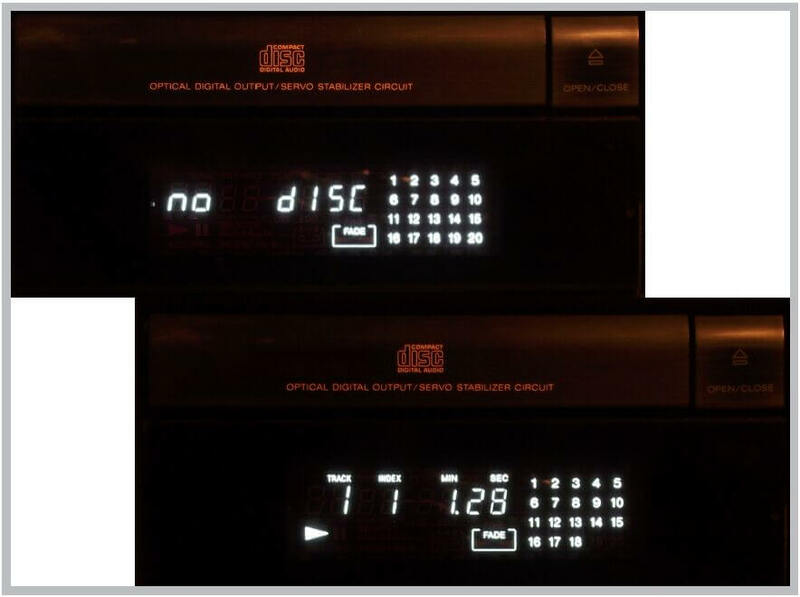 The appropriate designation can be assigned to each CD loaded in a magazine slot and will then appear in the display when the disc in that slot is selected for playing. You can also create and store your own category names of up to eight characters. 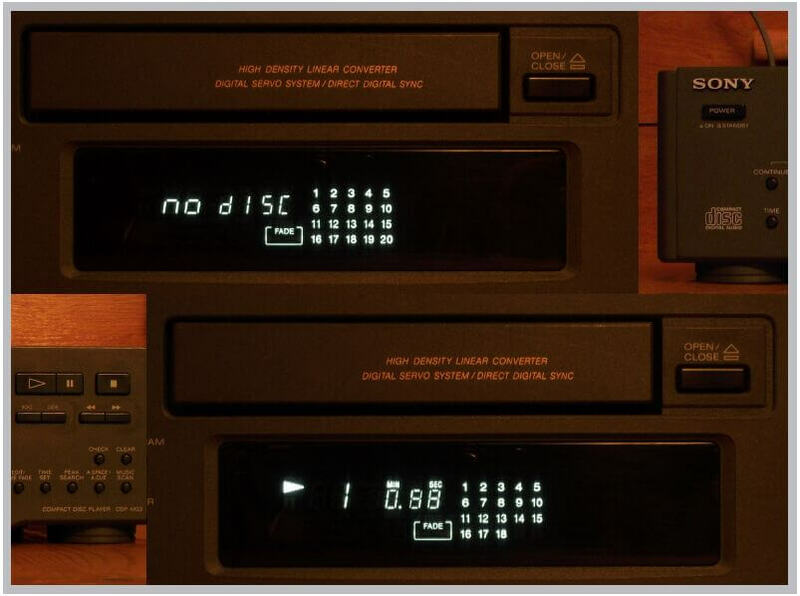 In addition, an eight-character subcategory name can be assigned to each slot and stored; like the main category, it is displayed when that slot is selected. 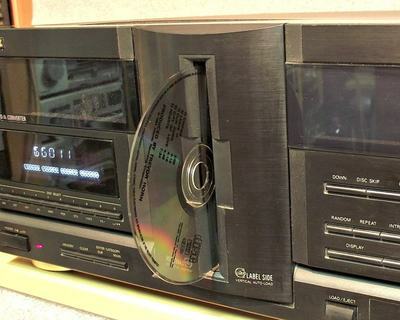 There were several versions of this type of CD player and we also have a previous model, the DAC-9336 advertised by Alice Cooper....and his mom. 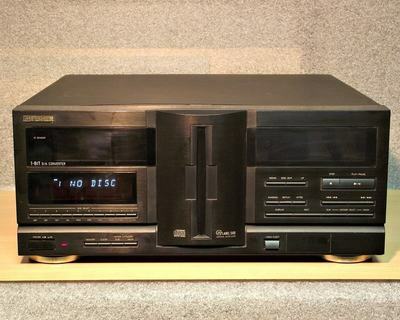 This type of CD Changer was originally created by SANYO and sold mostly under the FISHER brand name but you can also find them as OPTIMUS by Radio Shack. 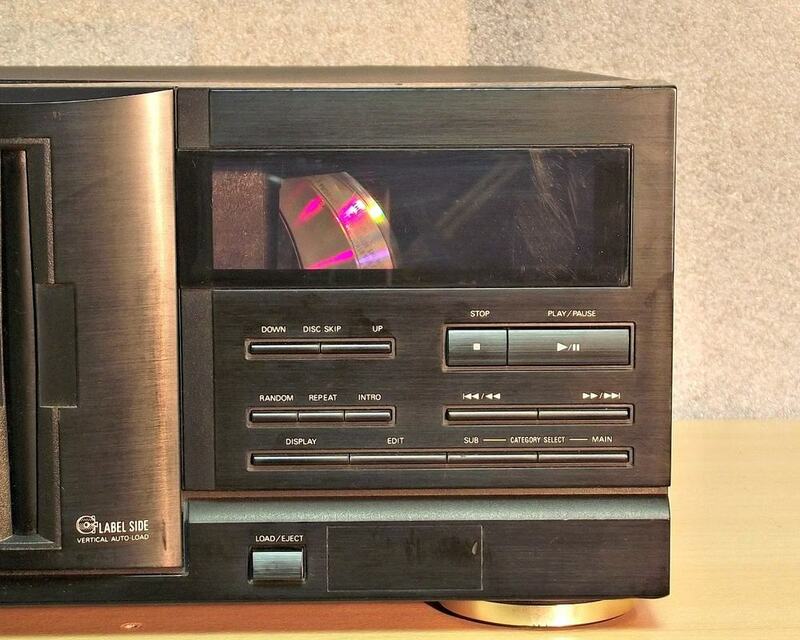 A video of this CD player can be seen here. 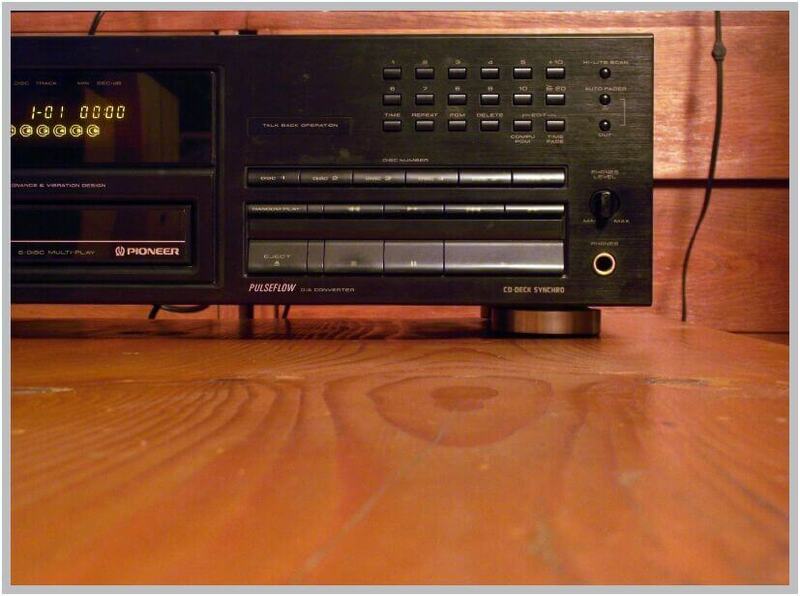 Nice player with PHILIPS CDM 4/19 - CD mechanism. 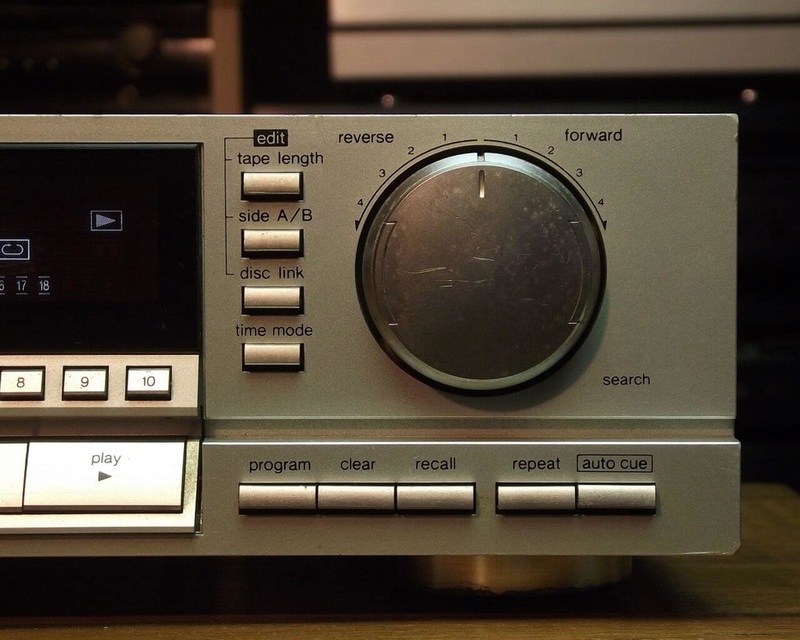 It is equipped with a 16 bit D/A converter with 4 times oversampling. It has a nice display and a headphone output with volume control. 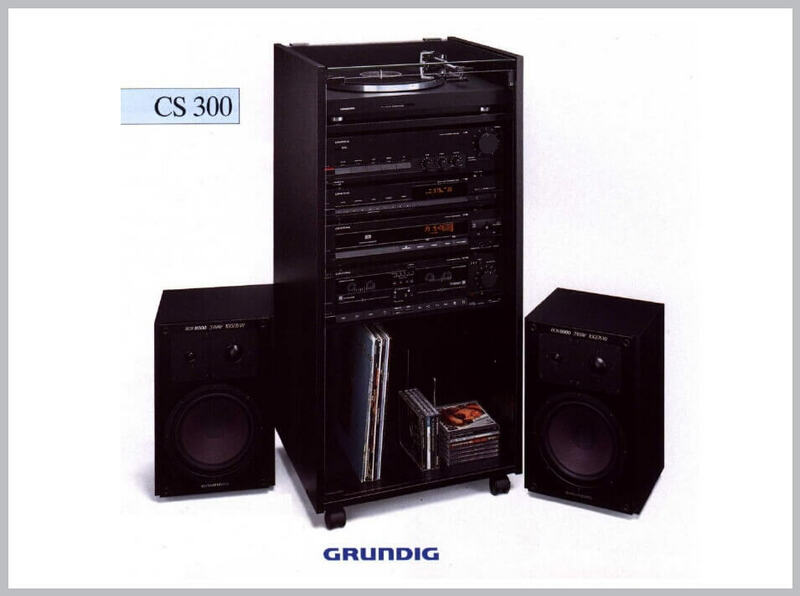 It can be remote controlled in a GRUNDIG or PHILIPS (MARANTZ) system via RC 5 system remote control jack. 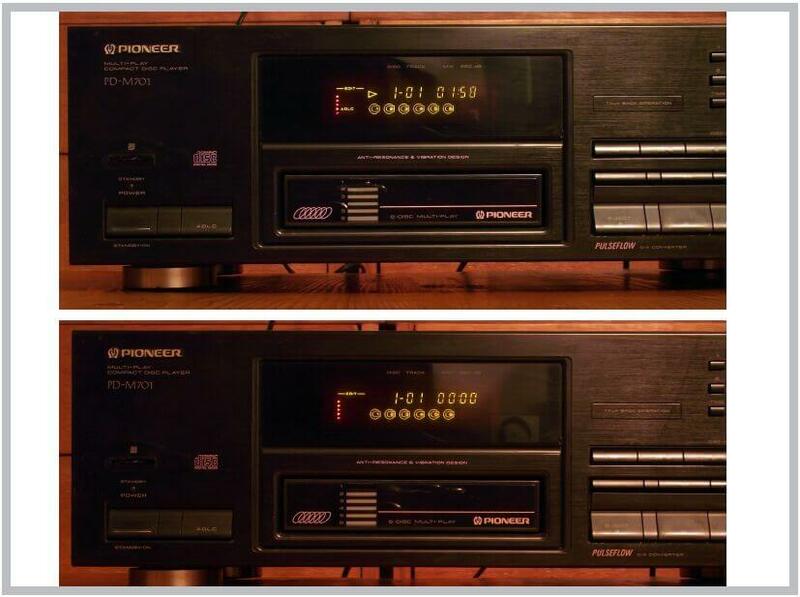 This player was "Spitzenklasse" (Top class) in the german Audio 4/91 magazine. 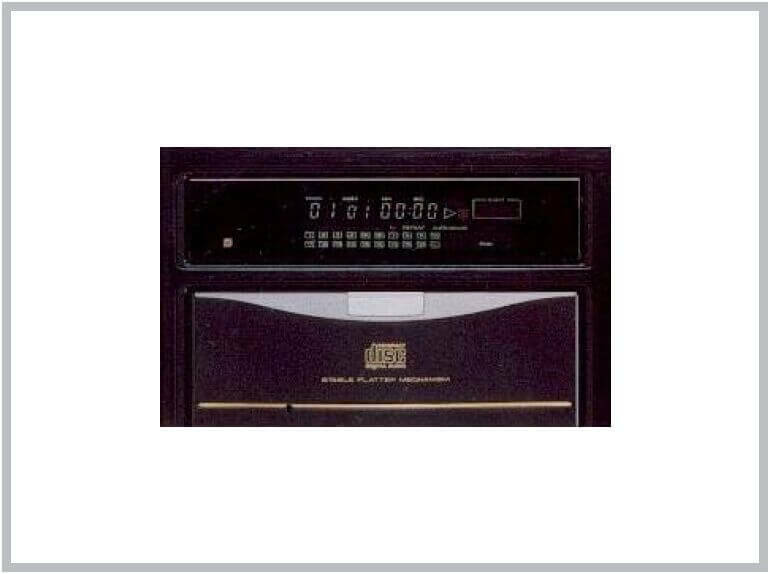 Midi sized player, mini display, basic functions. 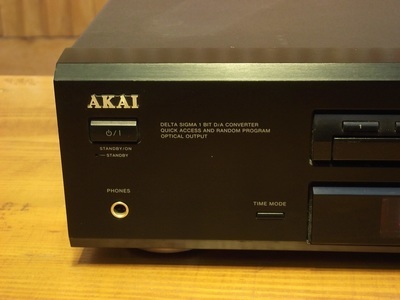 It is equipped with a 16 bit D/A converter with 2 times oversampling. 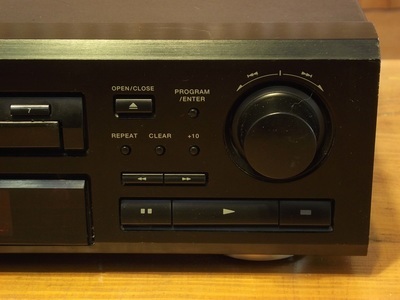 As part of a midi system can be remote controlled. 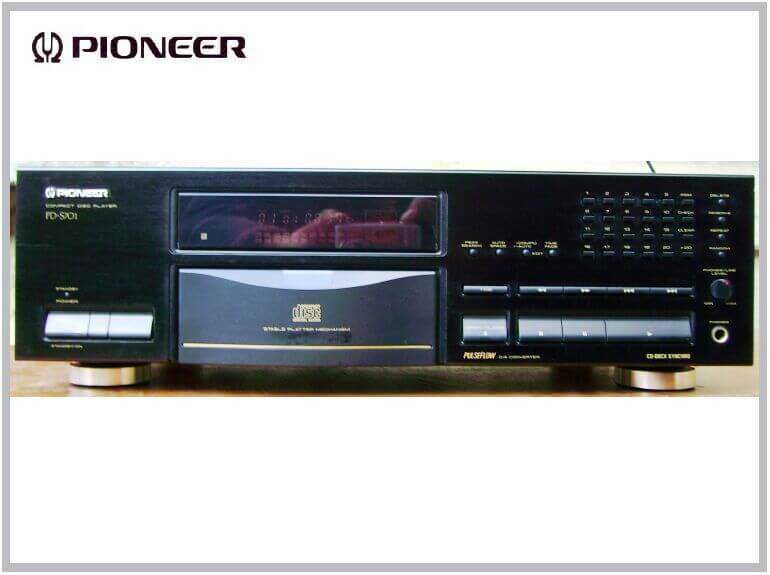 Second generation of CD players from one of the leaders in CD player manufacturing. The player had an infrared remote control, headphone output with volume control, direct acces to track via numerical keypad on the player and the remote. The laser is a "3 spot laser pickup servo system" and the programming was a "computer random program search system". 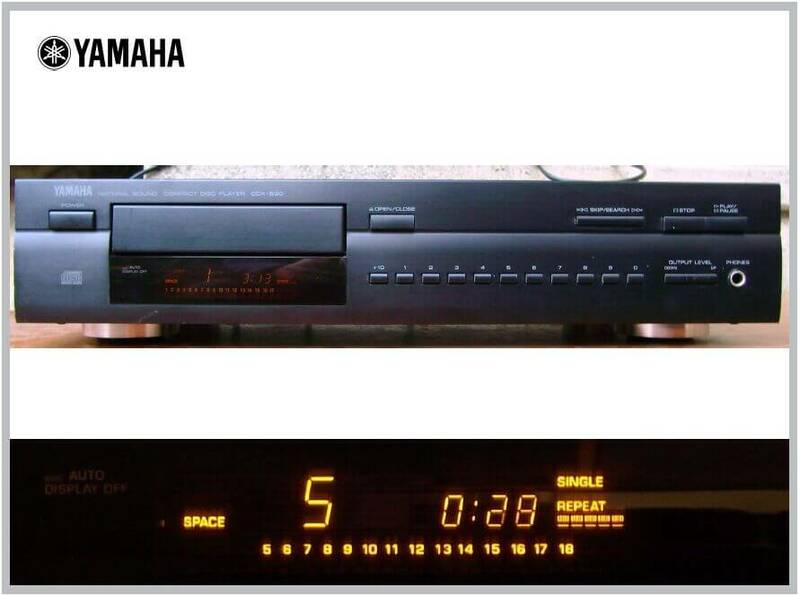 This player was Made in Japan (= made to last). 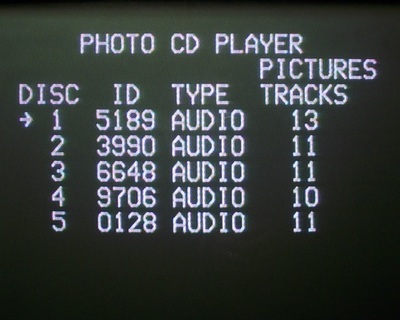 Disco King or Photo album ? 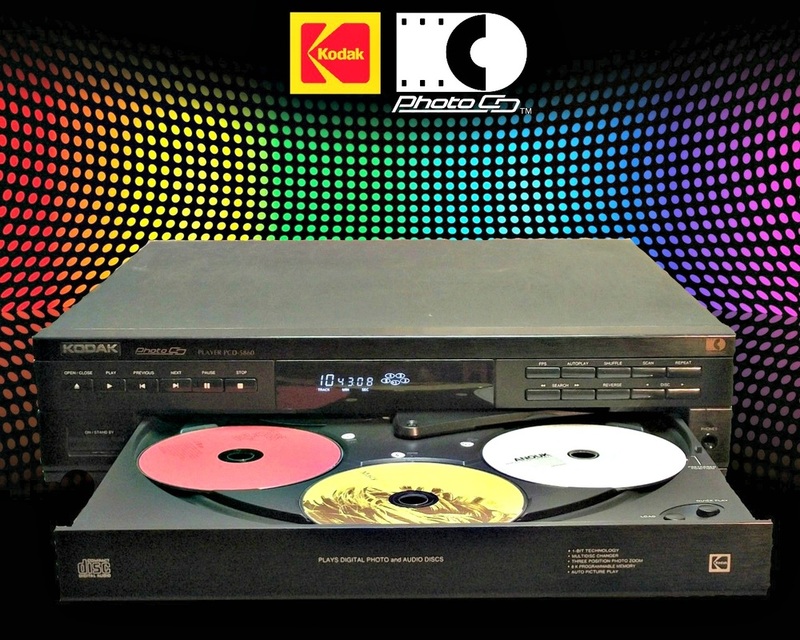 Well it's a little bit of both as the KODAK PCD-5860 is a 5 disc carousel CD player that can also be used to visualize digital photos on your TV set from a Photo CD. 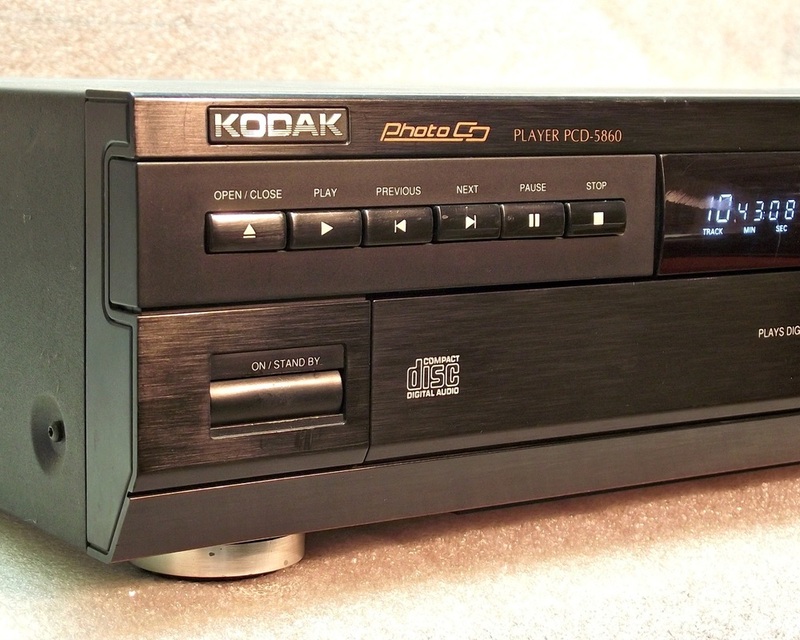 The KODAK Photo CD is a standard for digital photo archiving using as medium a CD disc. It was co-developed by Eastman Kodak Company and PHILIPS with first products launched in 1992. 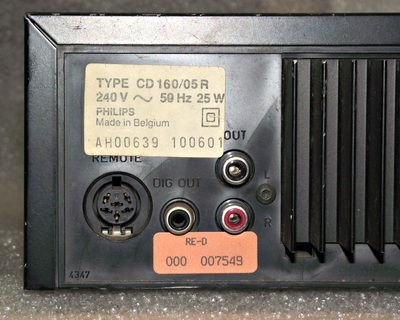 This CD player was made in Belgium where also PHILIPS products were built. 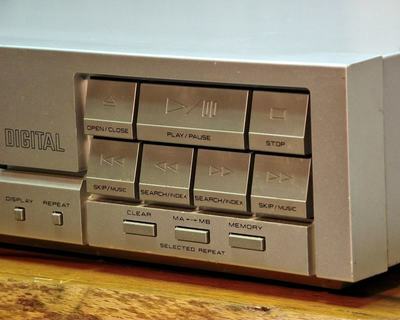 It can be connected to a TV set via different AV connectors to display pictures from a Photo CD or a simple content list when you load audio CD. I have no Photo CD to test these functions and it will not display .jpg photos from a recordable CD. 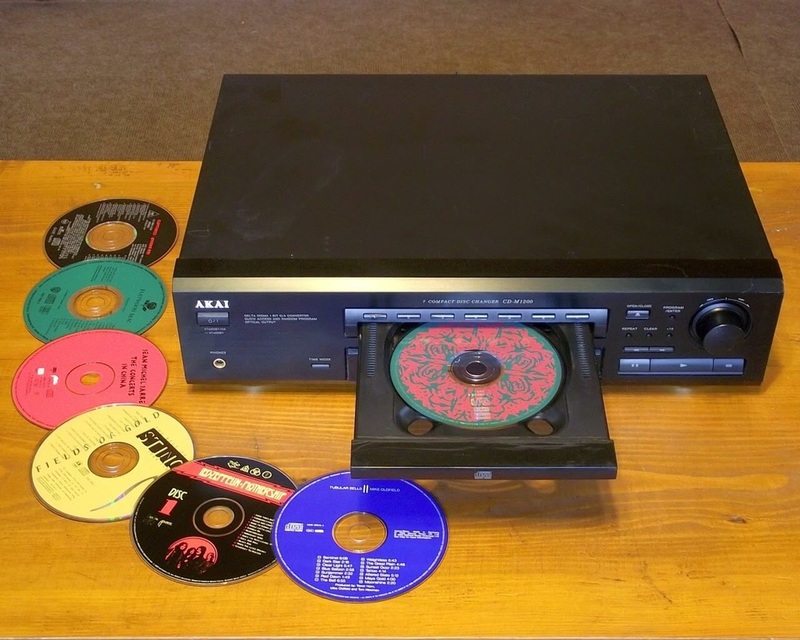 On the other it can still act as the Disco King as audio CDs can be played with no problem at all. 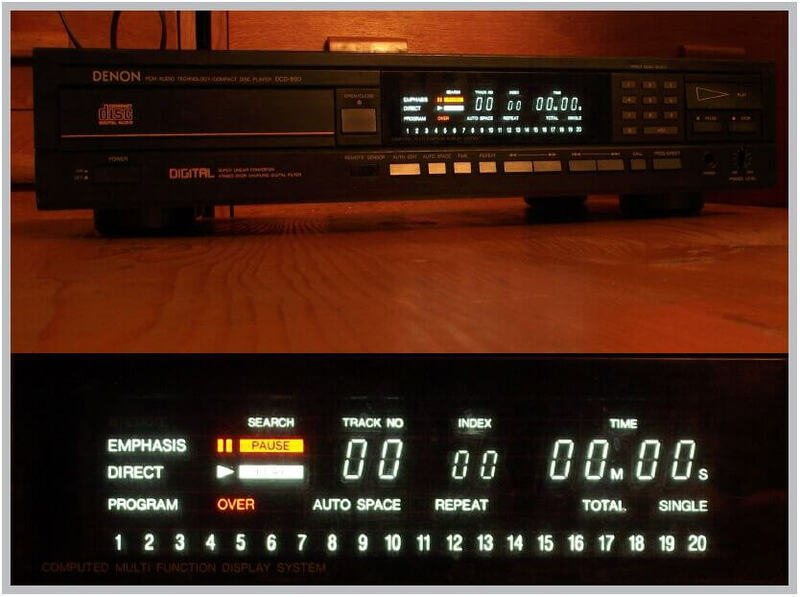 Big player with a big informative display and all the editing functions. 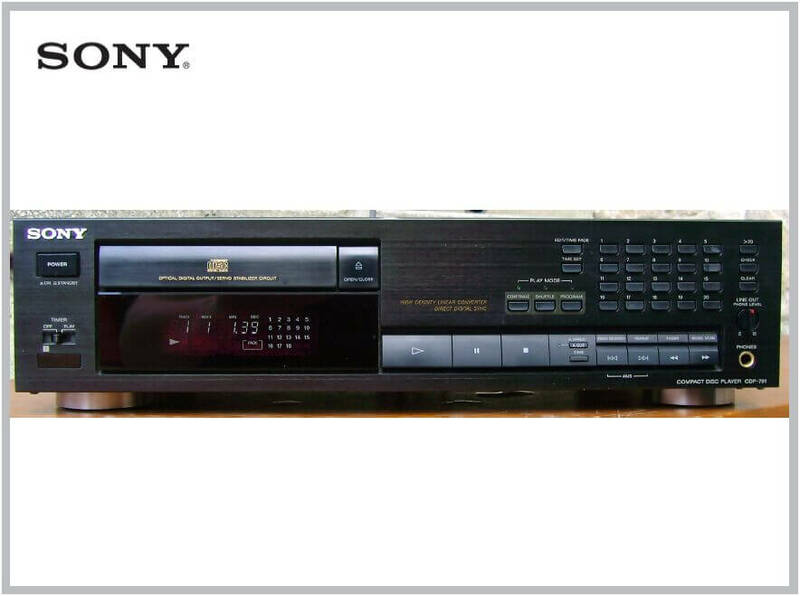 Not so many components inside, but that was a time when manufacturers made their players to visually match the amplifier that you will use. And those amplifiers were big. The EVERLASTING. 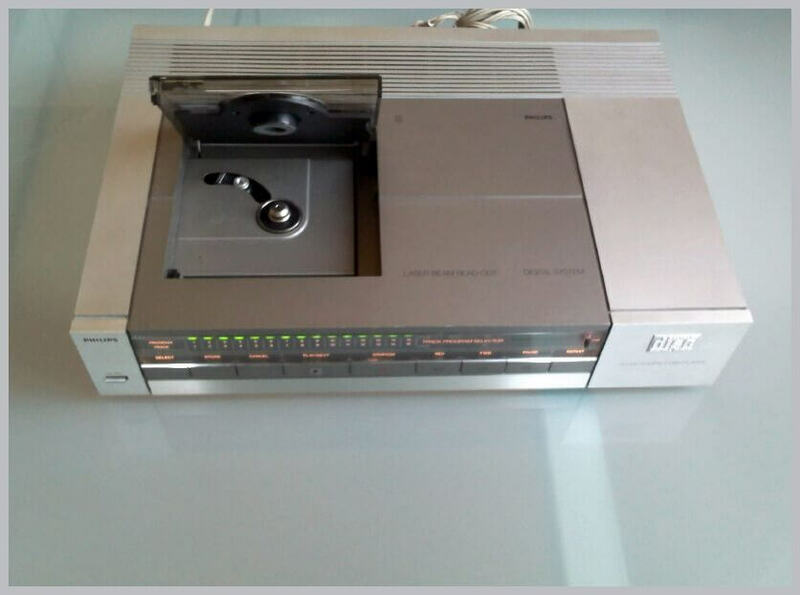 First generation player equipped with the famous PHILIPS CDM-0 drive unit. 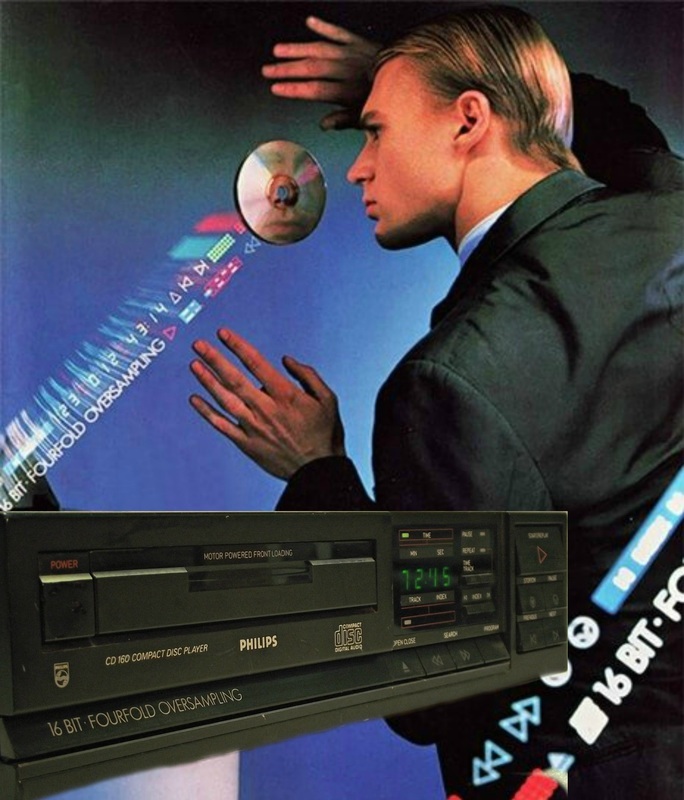 It is a player in perfect working order. This model replaced the CD200, the difference being that CD202 has an added time counter. 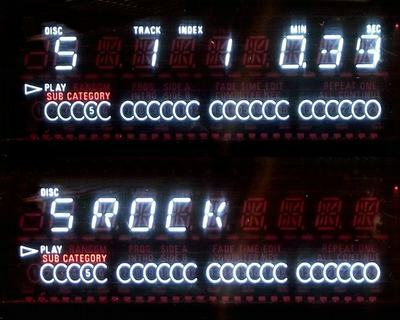 The time counter only works (it lights up) when the CD is in PLAY mode, or fast winding. 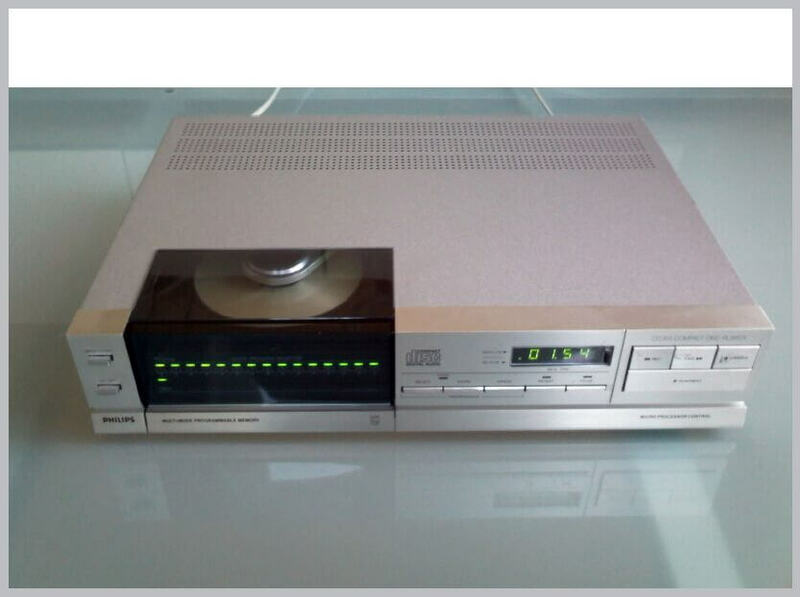 You can also find this model as LOEWE CD 9000 - a rebadge. 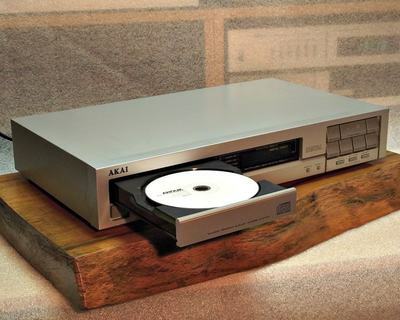 In 2012 we have celebrated the first 30 years of the CD. 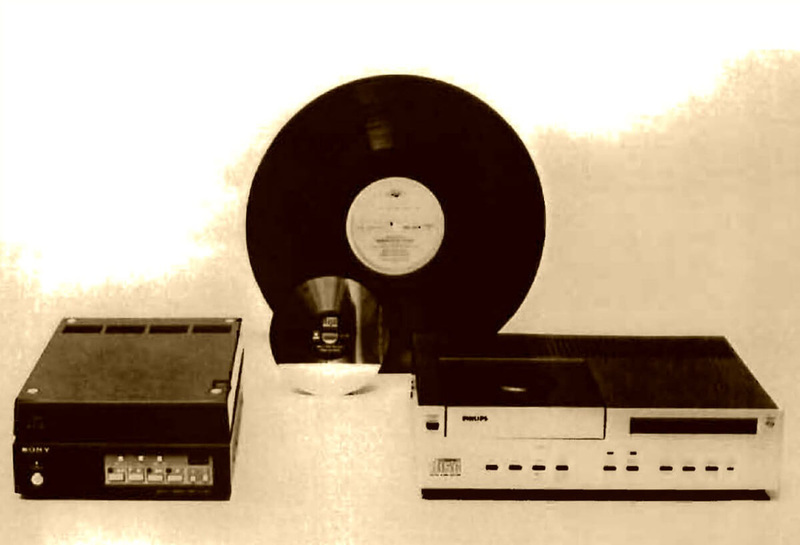 According to documents of time on October 1st 1982 the world first CD players were announced in Japan. 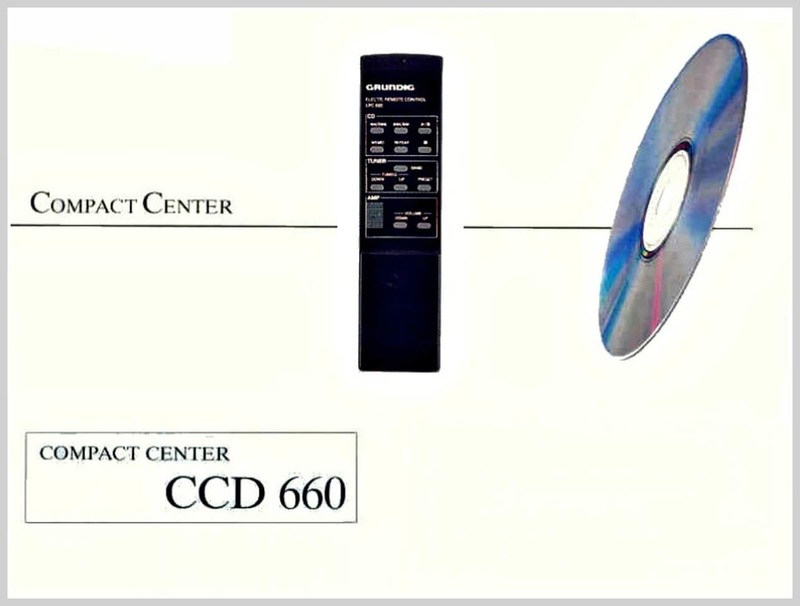 Some consider this as the date of launch of CD technology, while other consider the birth date of CD, the world wide launch in 1983. 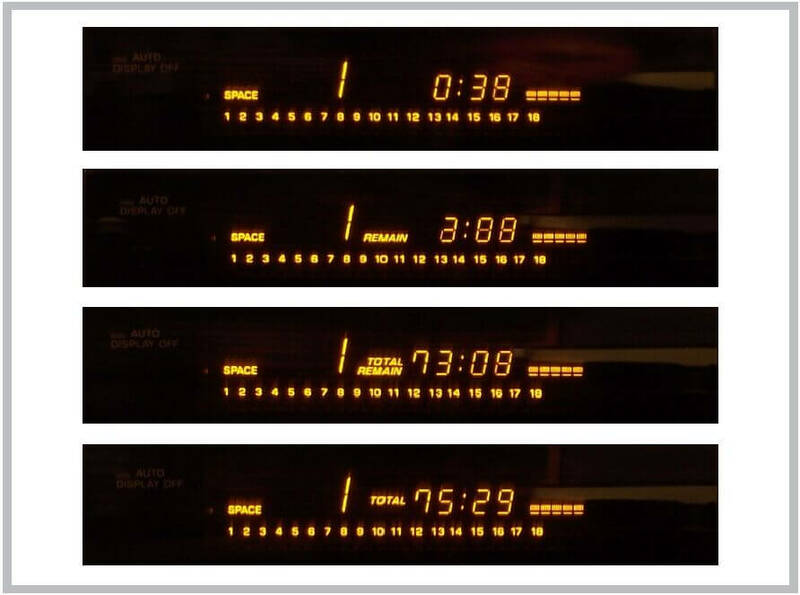 The 44.1kHz oversampling frequency was the result of available technology of the time. 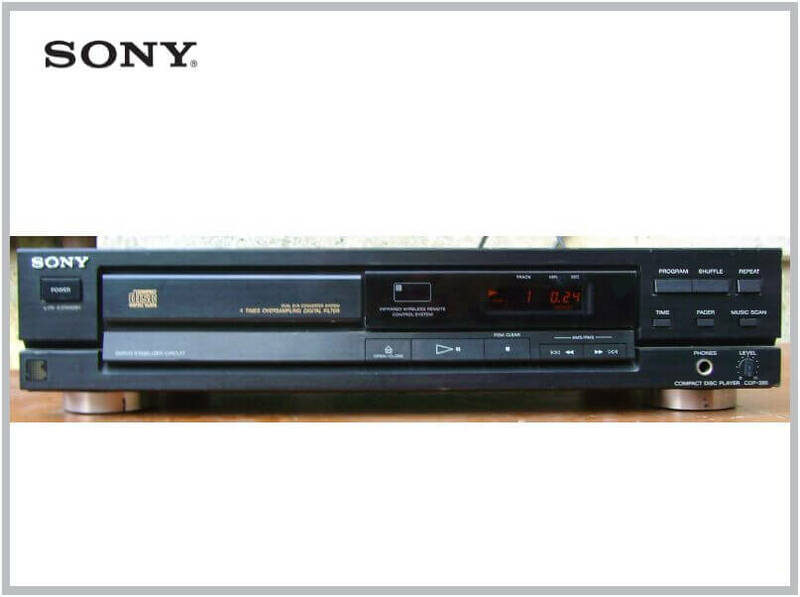 That available technology was the SONY U-matic video tape. With the use of a PCM (pulse code modulation) adaptor resulted an audio recording with 44.1 samples per second on a PAL cassette. For a usable frequency response of 20-20.000 Hz you need at least the double of 20kHz (20.000 Hz) samples per second. 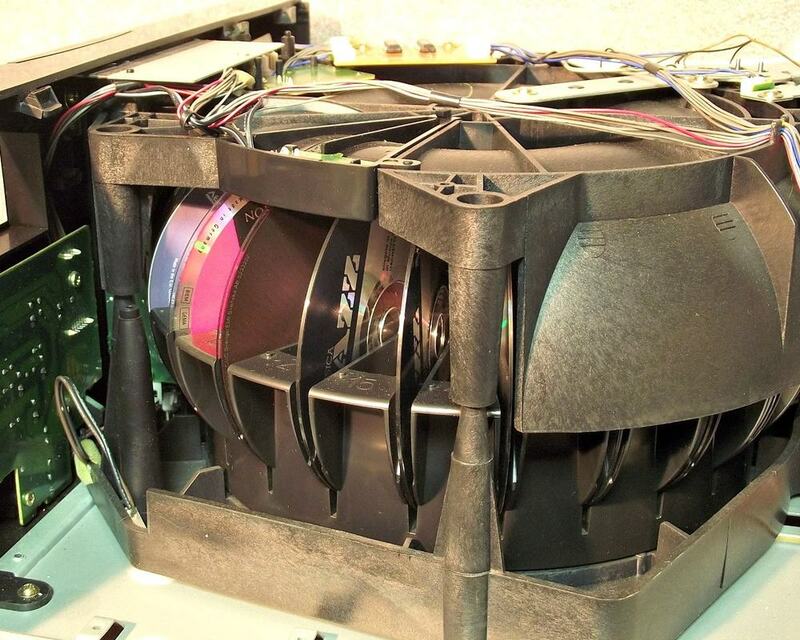 This system could store 16-bit samples with error correction, or could store 14-bit with no correction at a 44 khz sampling rate. 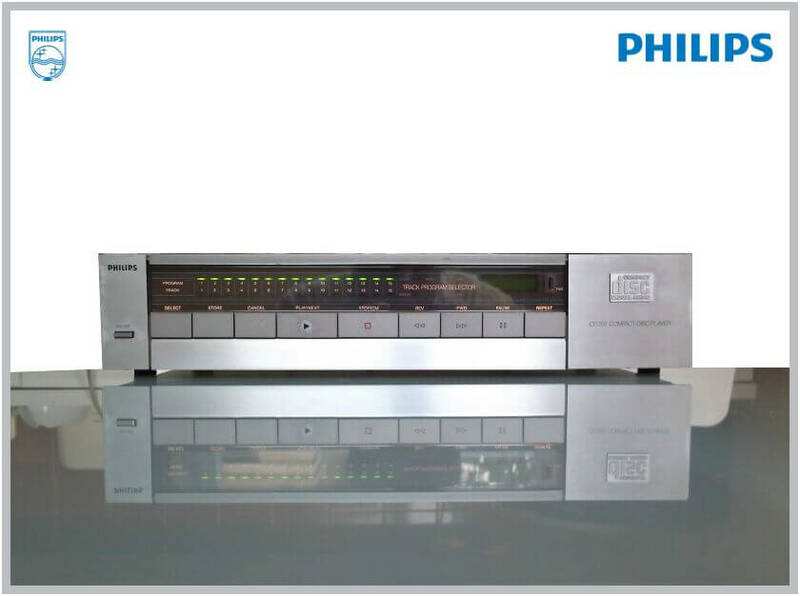 Before official launch PHILIPS engineers already had a 14-bit digital to analogue converter with 44kHz sampling rate, while SONY was promoting a 16-bit system with 44.1kHz oversampling. 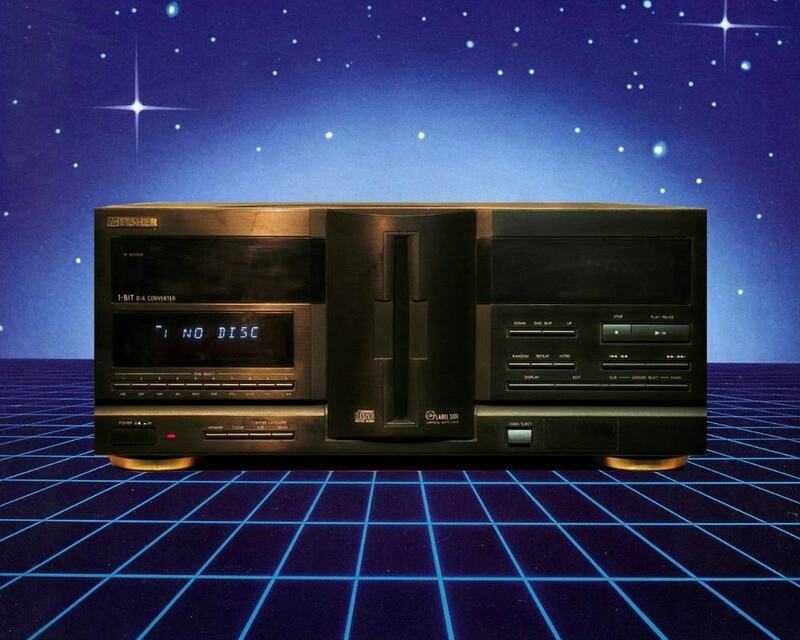 ​The other EVERLASTING. First generation player equipped with the famous PHILIPS CDM-0 drive unit. This was the flagship model in 1983. ​The PHILIPS CD 303 was available together with CD 101 and CD 202 models, which can be considered the "MK II" versions of the first generation CD players. 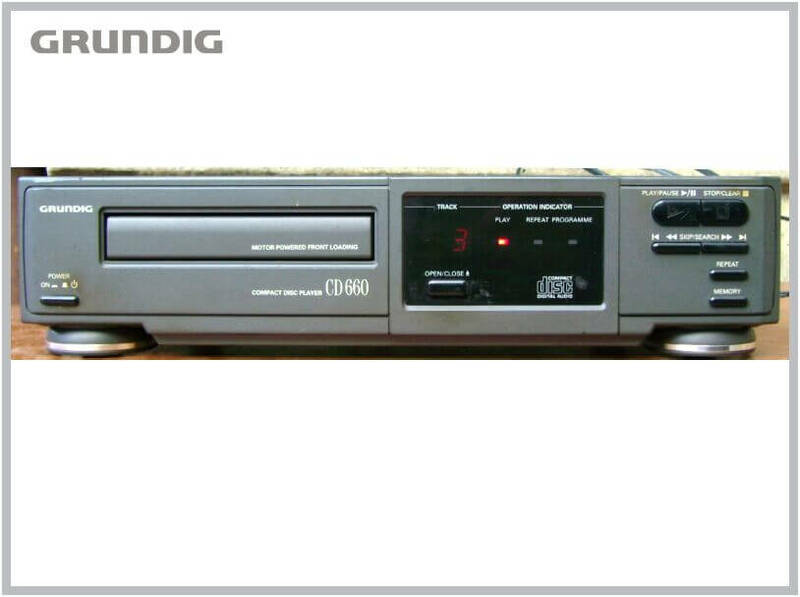 Just like model CD 202 replaced the CD 200, the CD 303 replaced the previous CD 300 with the added time counter. 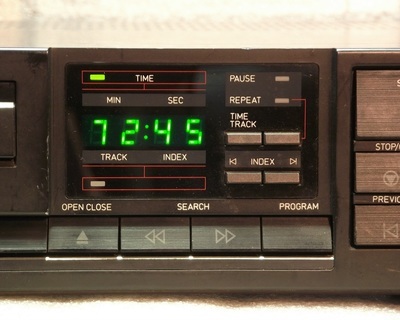 On this model too, the time counter works (it lights up) only when the CD is in play mode. 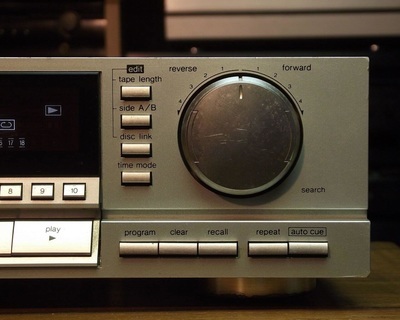 The equivalent model from MARANTZ was the CD 73, with a modified front panel design. 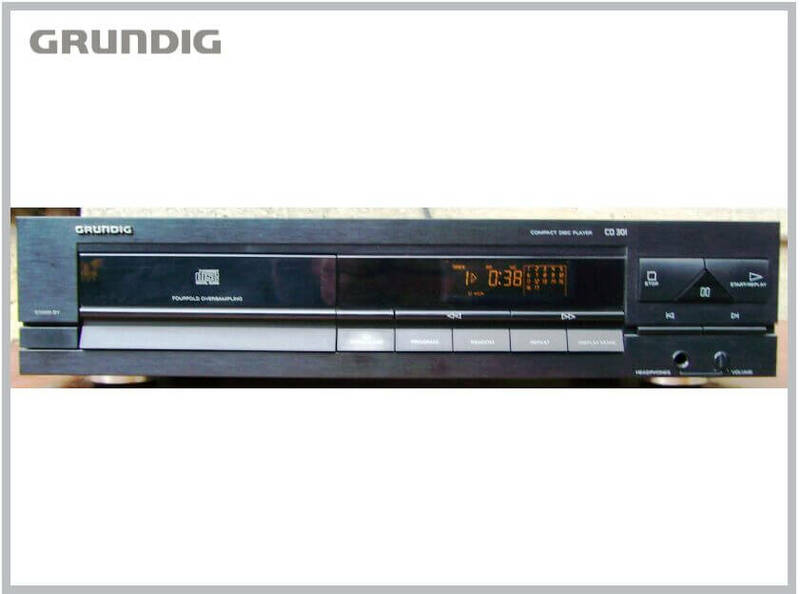 Another rebadge was the GRUNDIG CD 7500. 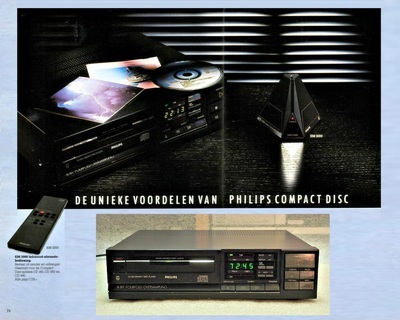 Introduced in 1986 the PHILIPS CD 160 was a midi sized CD player using the newly developped 16 bit DAC, the TDA1541. 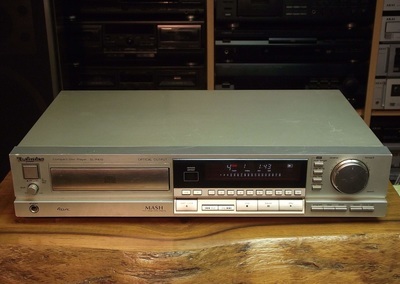 (The one used in this unit was manufactured in 1986, week 31 in Holland) The mechanism used for this player was the PHILIPS CDM-2/10, a lightweight version of the famous PHILIPS swingarm mechanism. Great CD player with stable platter mechanism. 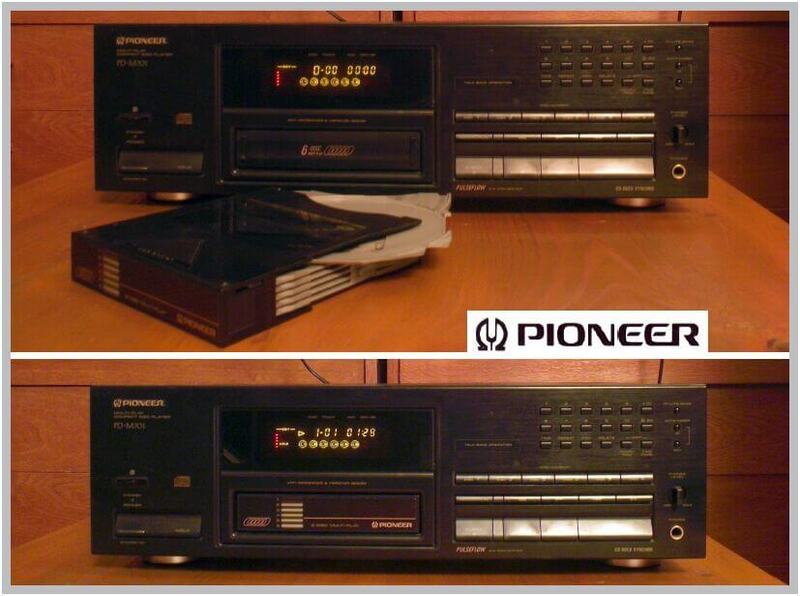 One of the greatest ideeas to improve disc stability was the stable platter mechanism made by PIONEER. 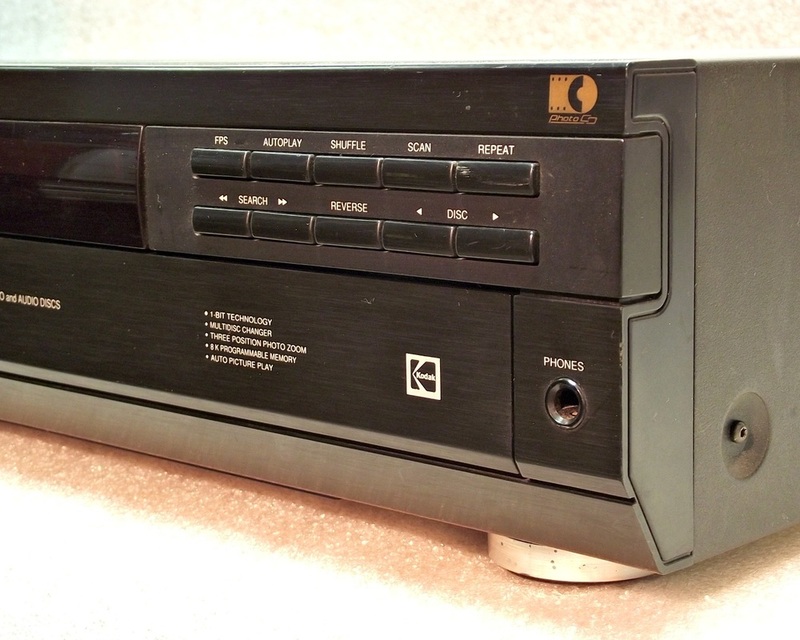 This was used by many high-end CD player manufacturers. 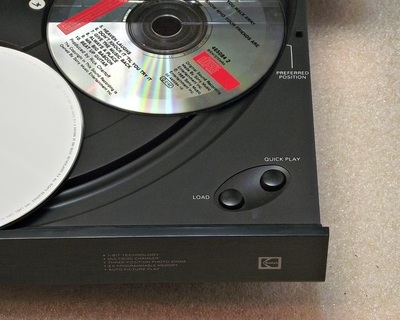 In this player the CD has to be put label side down (upside down) to play. 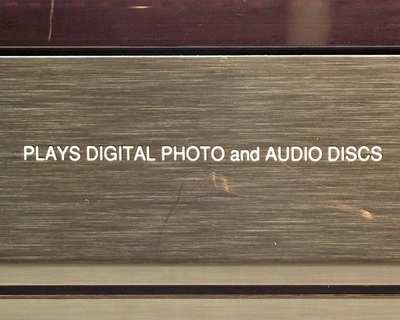 One common problem with these players is the fact that the lens could fall out. 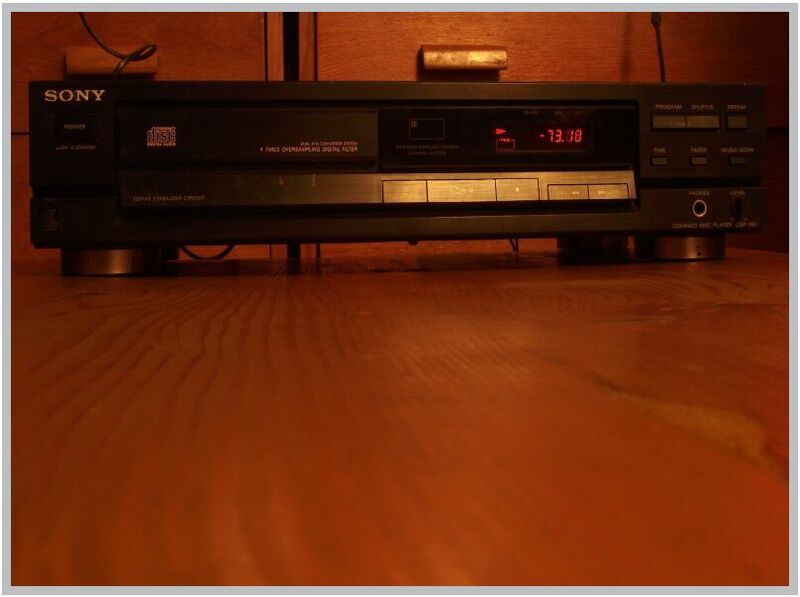 If the lens is loose inside your player see how it has to be placed back following this link. 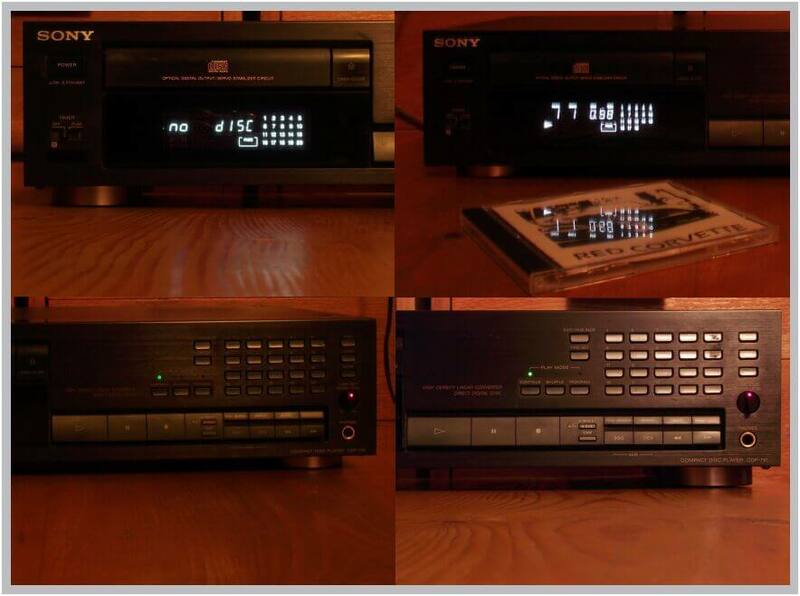 Multi CD player for 6 CD's. The CD compartiment can be completely ejected and moved to a car CD player. 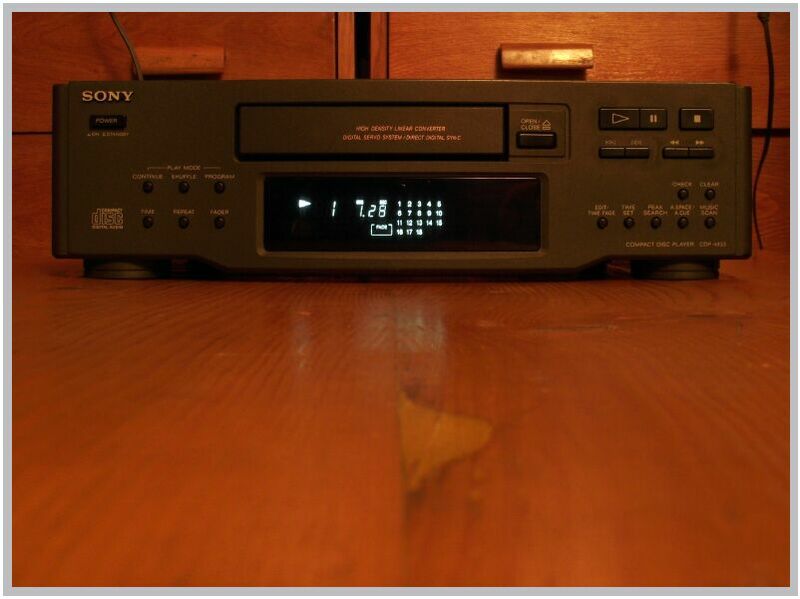 You have to read carefully the instructions on the CD compartiment to see how to insert discs in the changer cartridge. 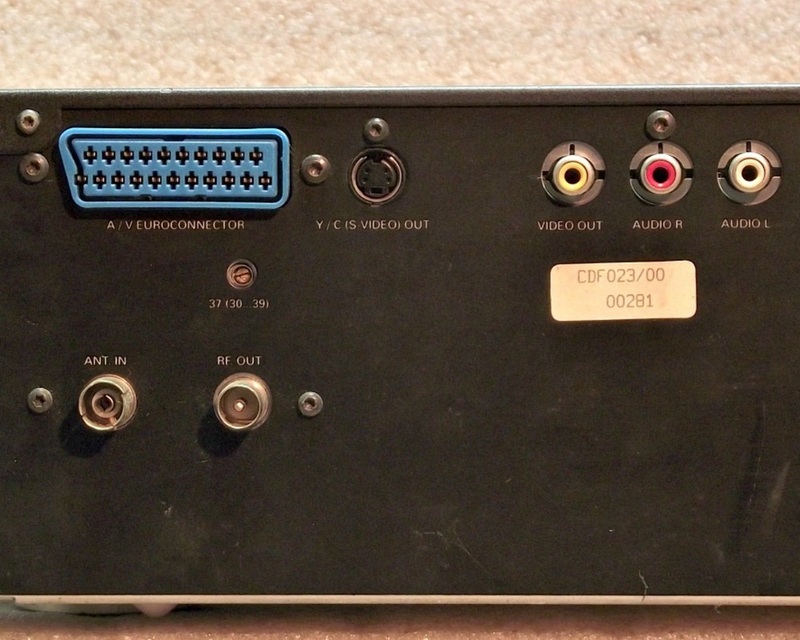 The converter used was a "pulseflow" type 1bit D/A converter. 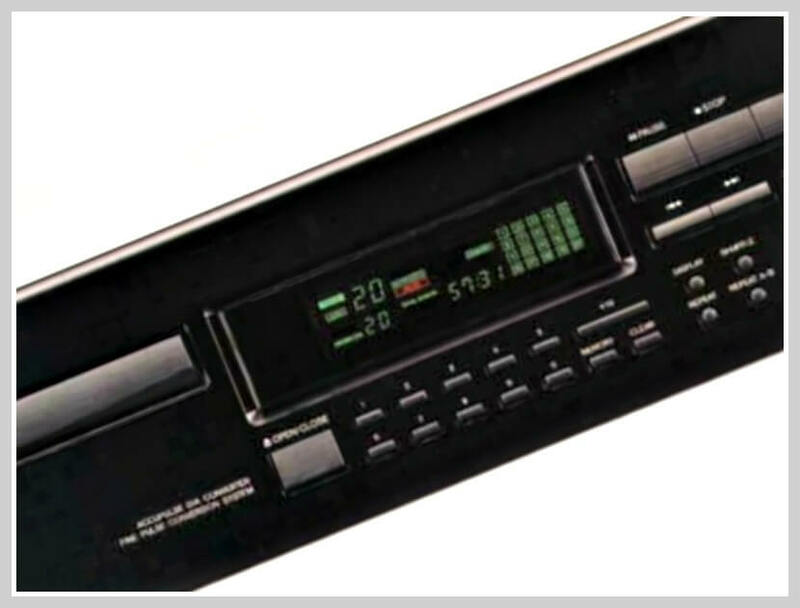 It has a remote control, CD-DECK synchro for easy, one touch copy from CD to TAPE (only with PIONEER cassette tape recorders). 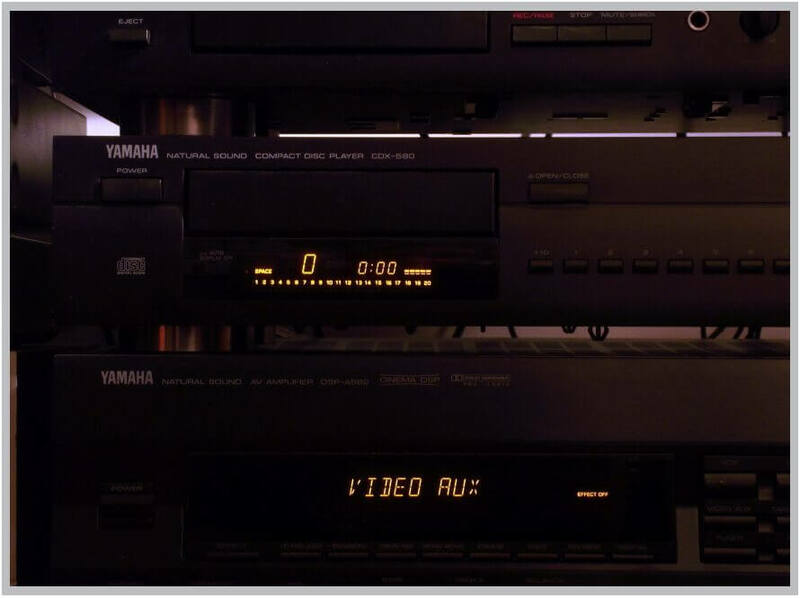 If there were sound level differences between CD's in the cartridge there was an "ADLC" (automatic digital level control) cicuit to compensate this. Similar features and technology as for the full sized players. The High Density Linear Converter was the SONY way for a 1 bit D /A converter.This player was part of a midi style system. 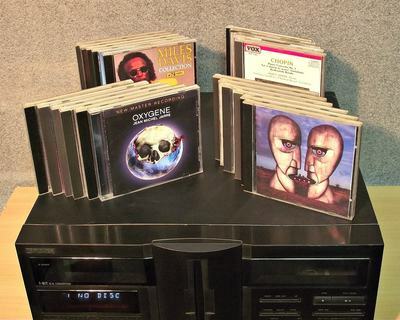 If you are a person who is making compilations from CD's a handy feature is the fade in and out function. 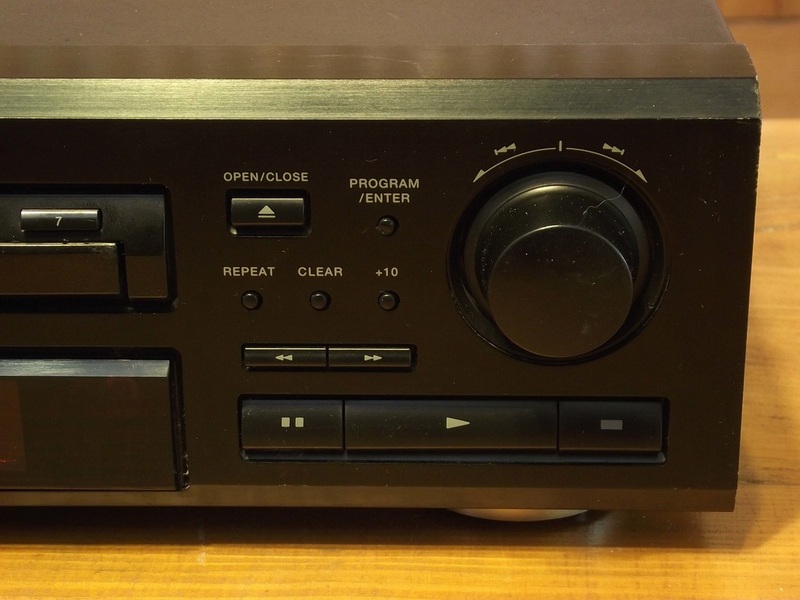 Basic player with remote control and headphone output with volume control for private listening sessions. 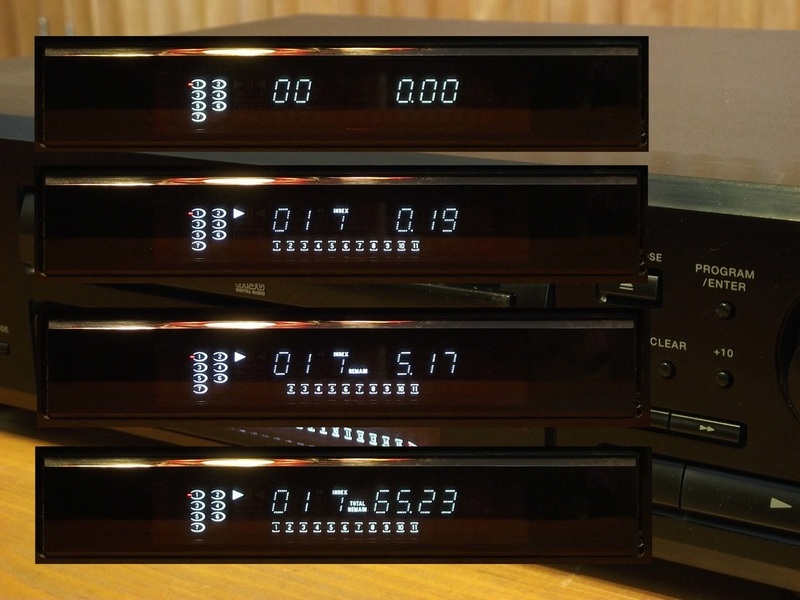 It uses a dual D/A converter system with 4 times oversampling digital filter and a servo stabilizer circuit. 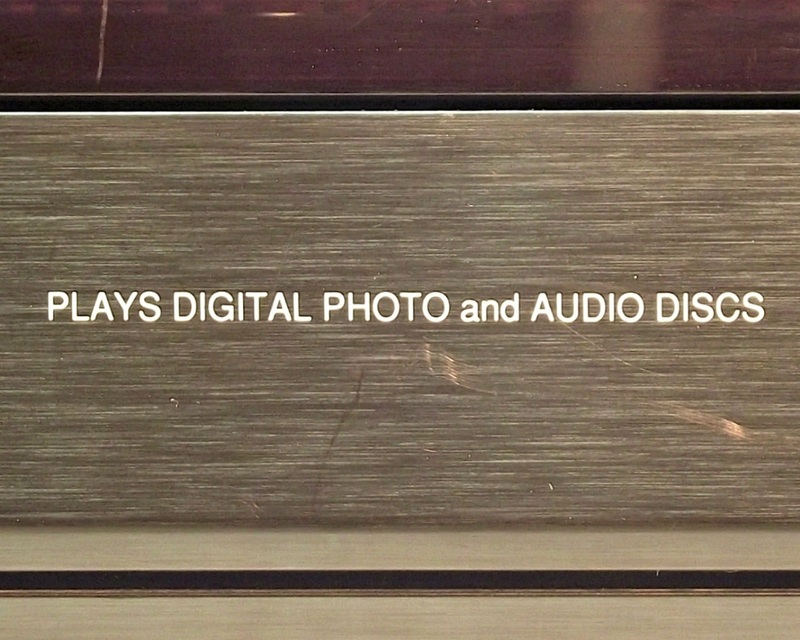 One handy feature for recording ethusiasts is the fade in/out function. 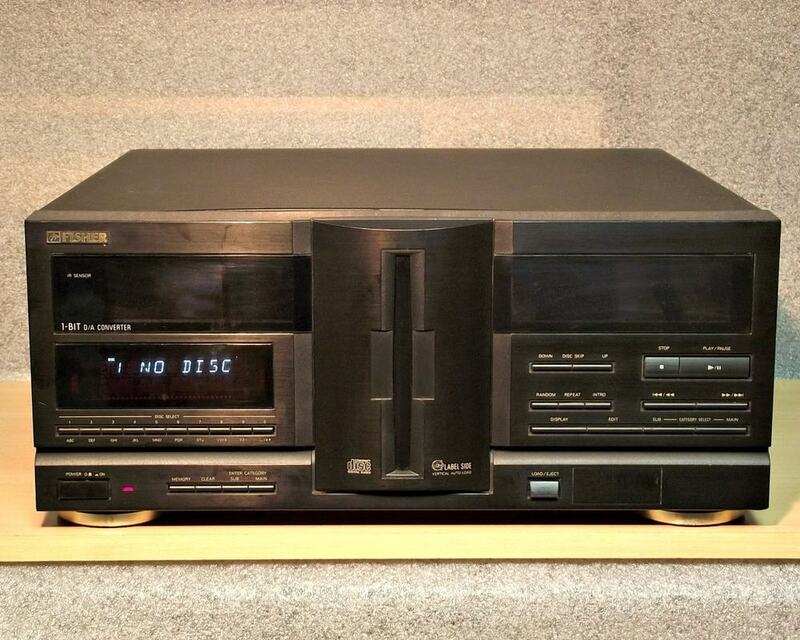 Upper class CD player. 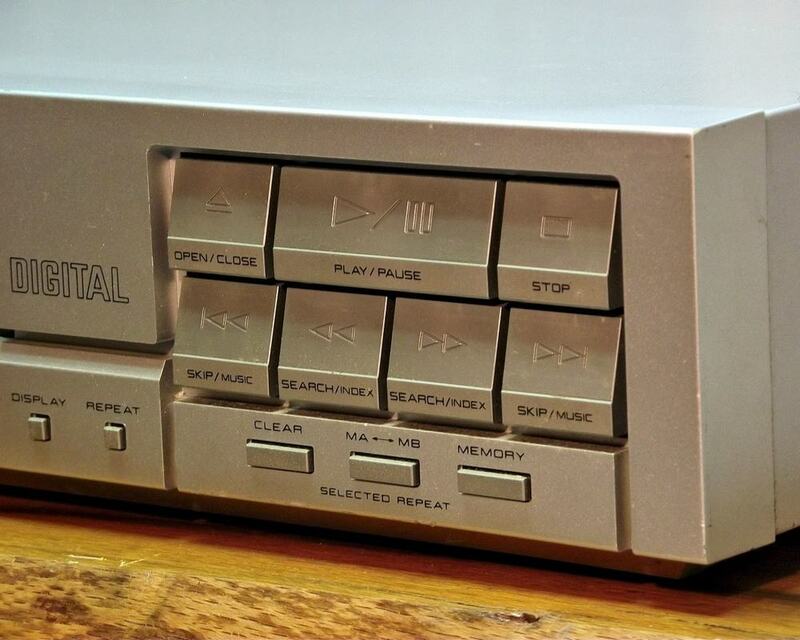 All the functions that you ever needed ......or not. 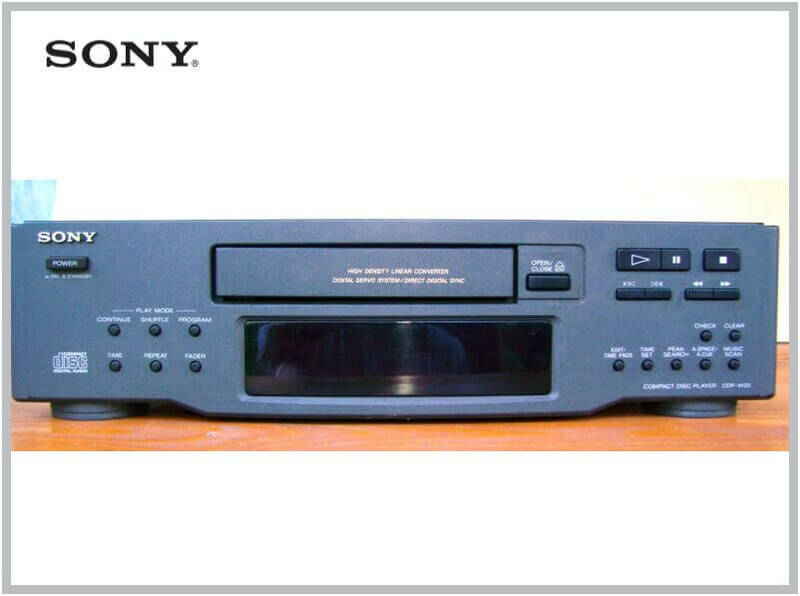 I remember that once I counted how many models SONY had. 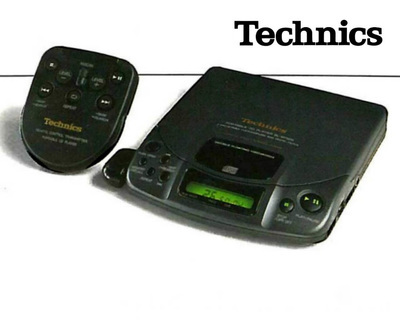 There were 16 models in their 1991 catalogue, but they were in fact 4 basic models with different extra functions. 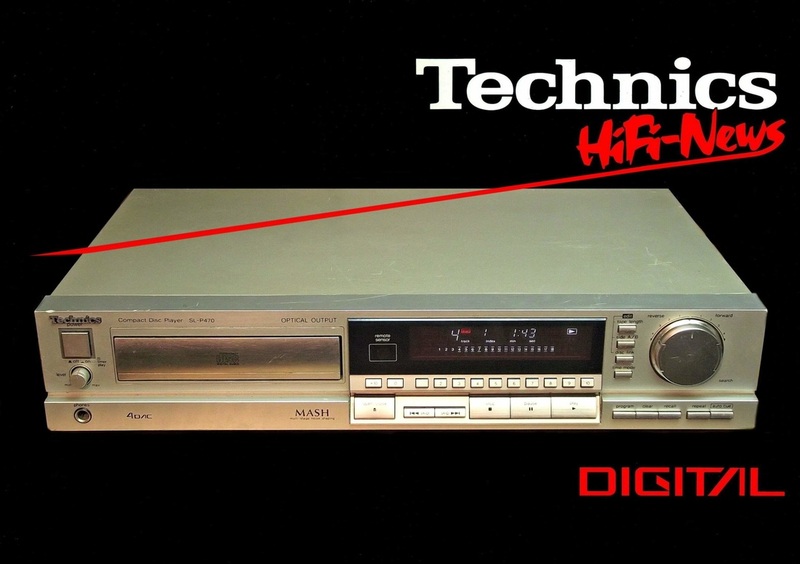 Introduced in 1990 the Technics SL-P470 was among the first cd players that used the MASH (multi stage noise shaping) 1 bit D/A converter developped by Nippon Telegraph and Telephone. To be more accurate it is the MN6474 MASH D/A converter that was used in combination with the SOAD70A linear motor CD mechanism (see detail picture). 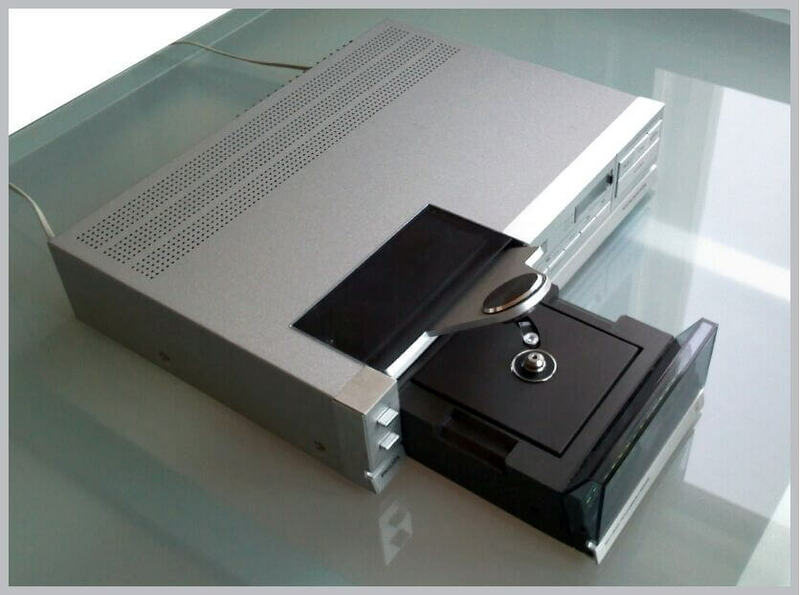 This unit was available in both black and silver (both plastic) the black beeing the more common colour you'll find. 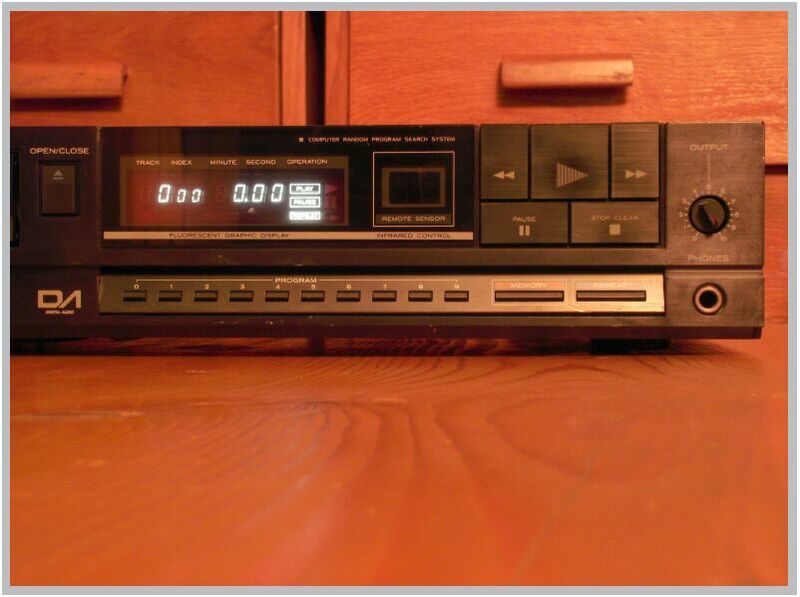 Beside the usual programing function it has a tape edit function that helps you to create an optimal selection of tracks that best fits your compact cassette. 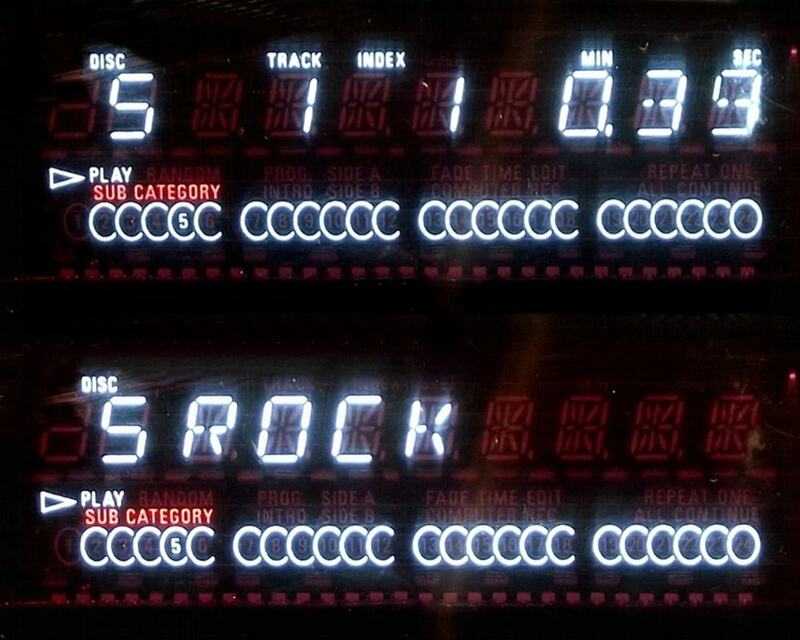 For qiuck music search there is a large variable speed search wheel. 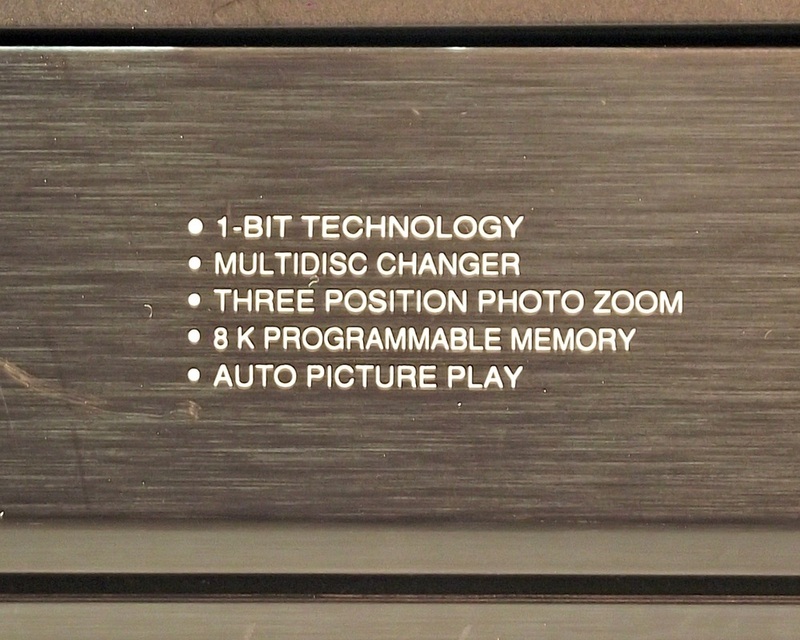 The display is very nice, large, easy to read and I find the keyboard layout as the most ergonomical ever designed. 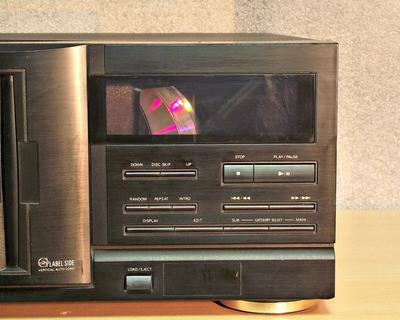 Many consider the MASH D/A equipped cd players as very good sounding and this unit is no exception, just press play and enjoy your favourite cd. 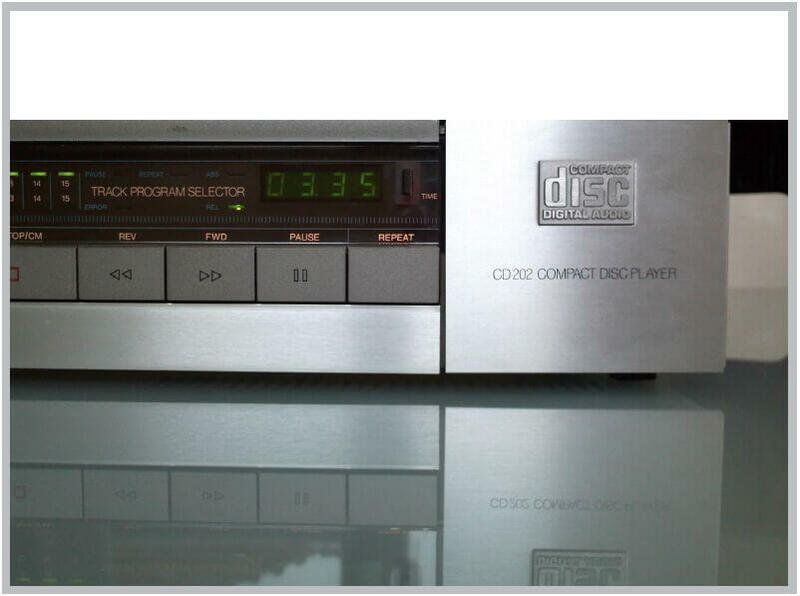 Another player with PHILIPS CDM 4/19 drive unit and MASH 1 bit converter. 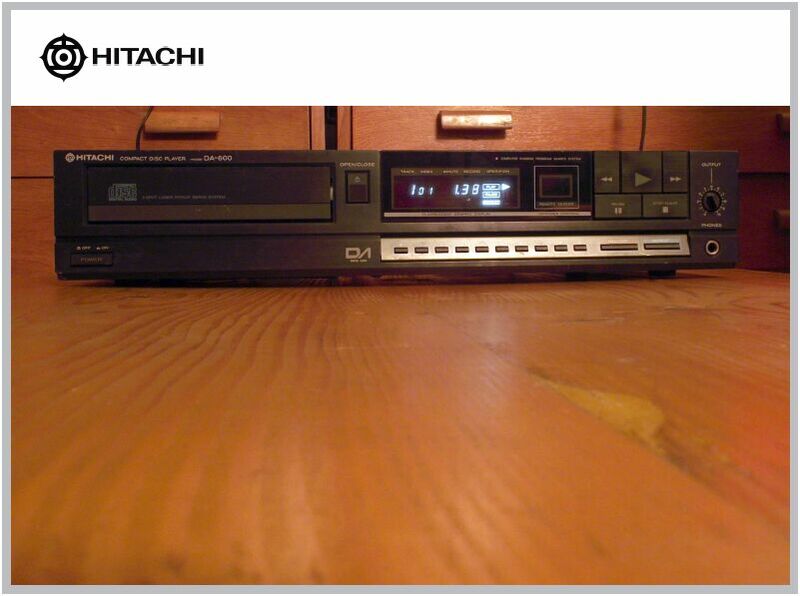 It is unusual for a brand that builds his own components, to use a drive unit from another manufacturer. 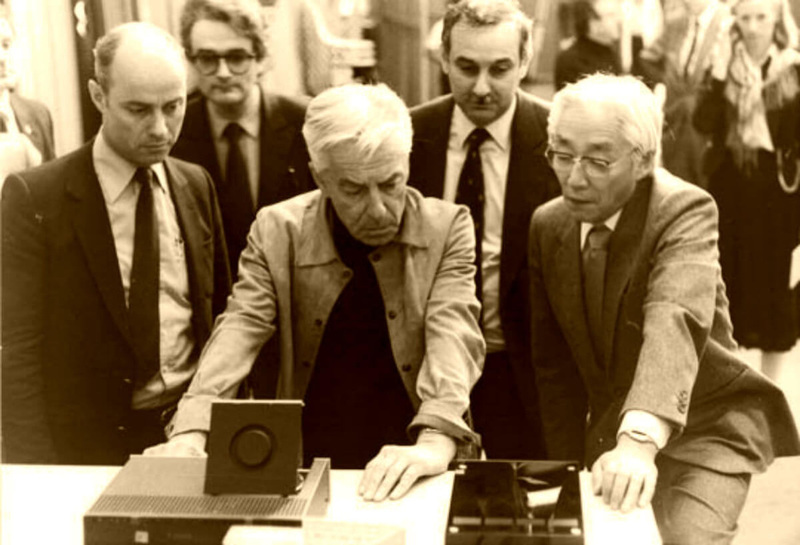 But if you read the history page of Panasonic, you will discover that PHILIPS was the brand that helped Matsushita at the begining of their activity. 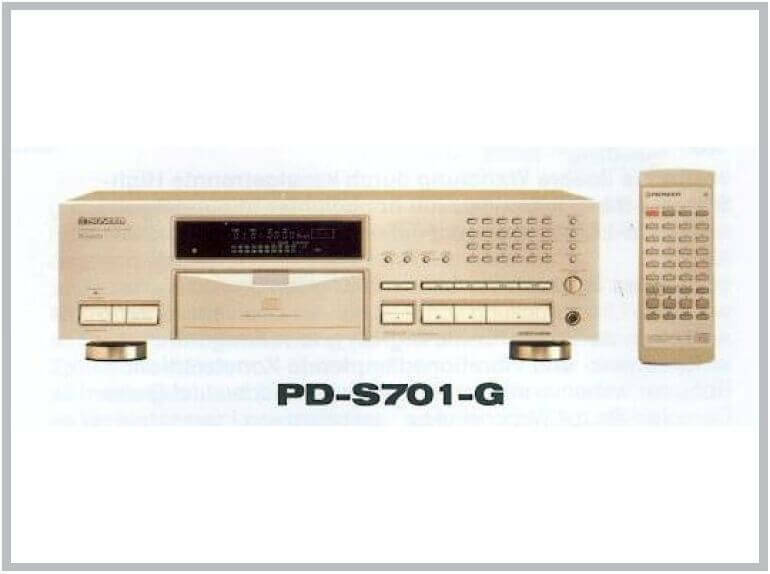 So today we have PHILIPS who supports the SD flash memory format...........a Panasonic format. What can you say......Friends will be friends. 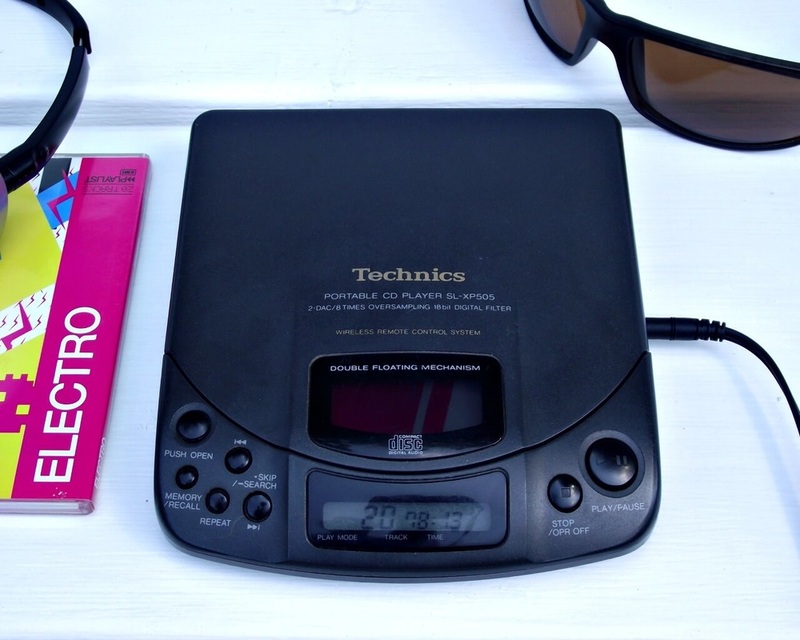 The Technics SL-XP505 portable CD player was introduced in 1992. 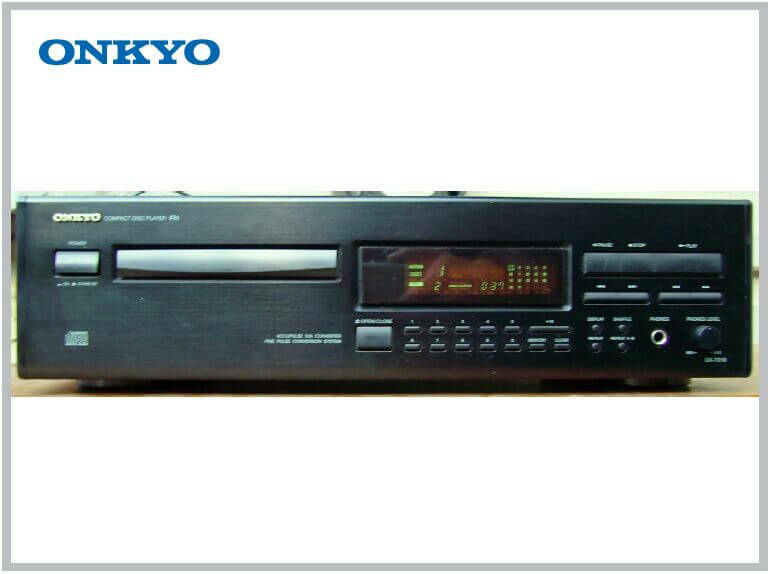 It features a double floating mechanism and is equipped with 16 bit 2 DAC/8 times oversampling 18bit Digital filter. 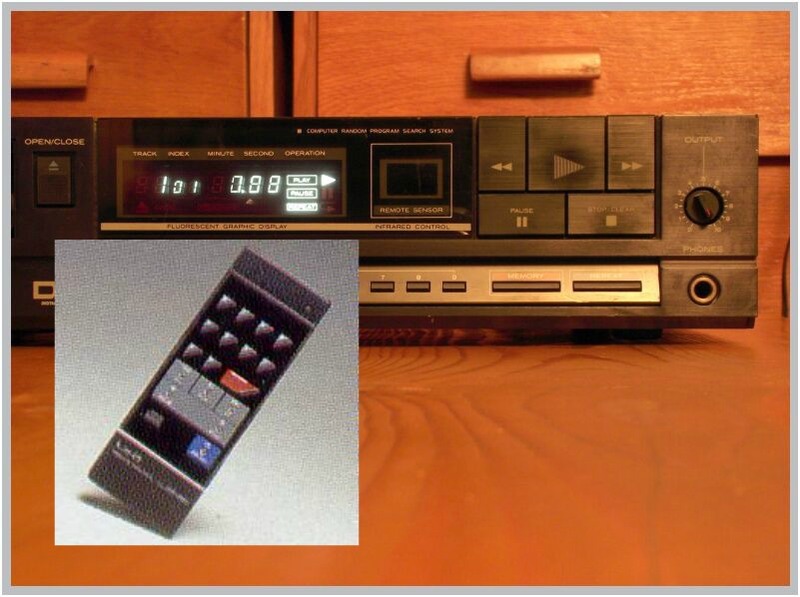 The original earbud had integrated remote control but there was also available a infrared remote system comprised of a receiver and the handheld unit. 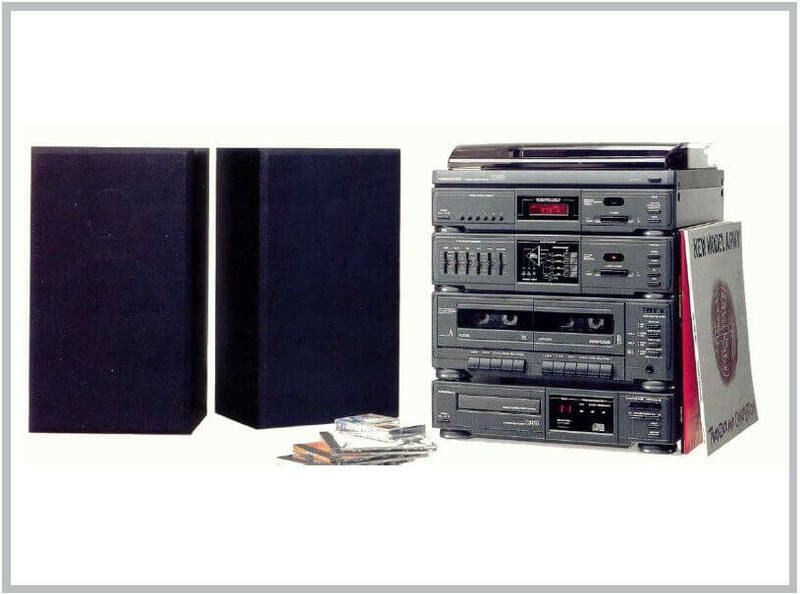 Unfortunately I don't have these components but the unit can be succesfully used with any headphone equipped with a 3.5mm jack. 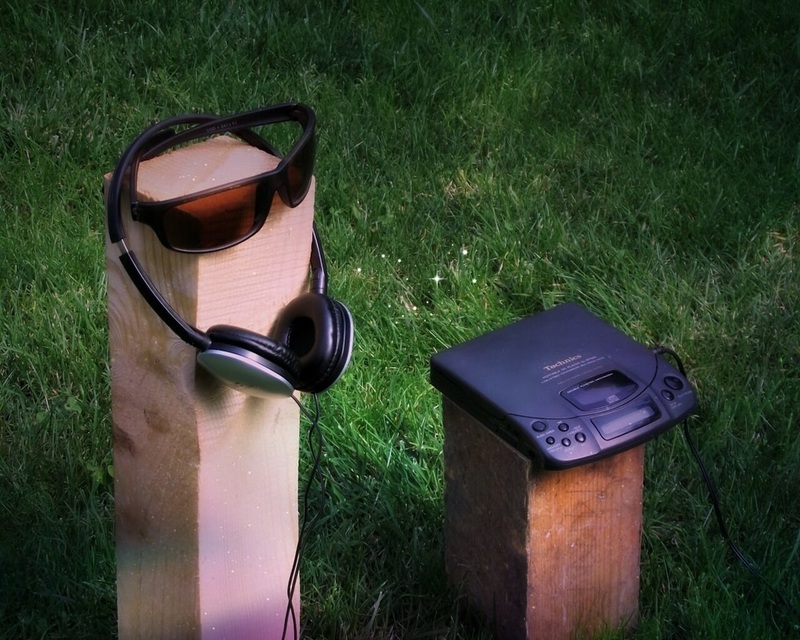 This is a (AA) battery operated portable unit but with a AC adaptor it can be transformed into a standalone unit. 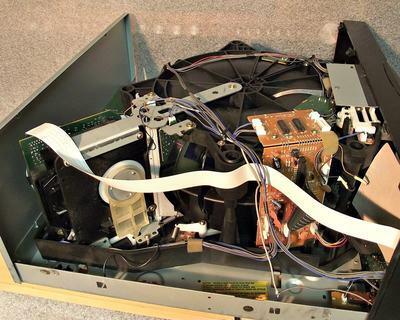 When the unit is powered by the AC adaptor the STOP and PLAY buttons will illuminate and the backlight of the display will be turned on. 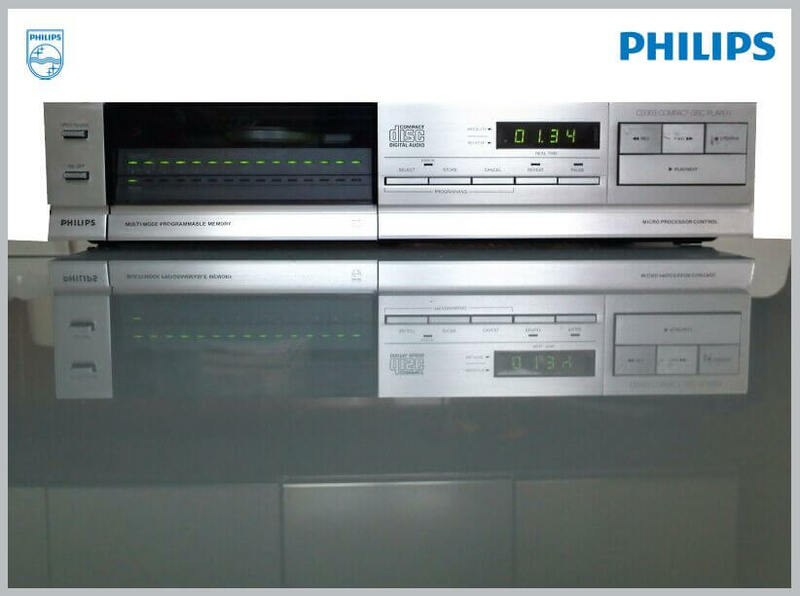 The unit is equipped wth a dedicated line output for optimal performance when used connected to a amplifier. 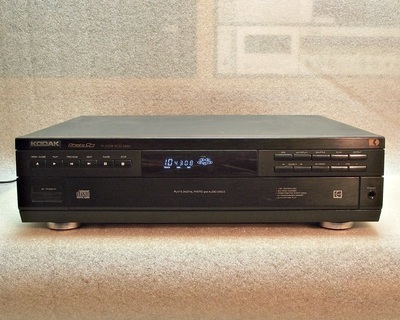 Following a long series of successful audio products this is a cd player from the 1994 YAMAHA model range. 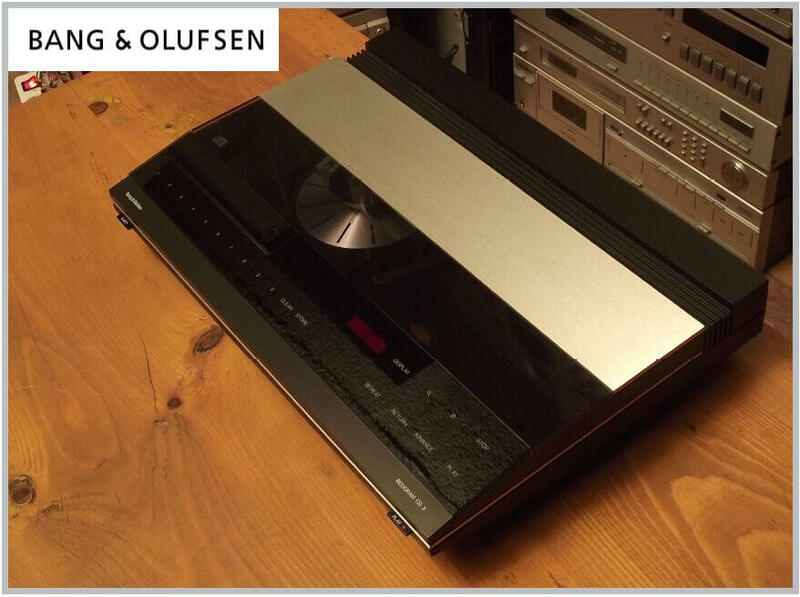 A great CD player with PRO-BIT technology, consisting of an "S-Bit Plus" DAC (22 Bit) and 8fs digitalfilter. 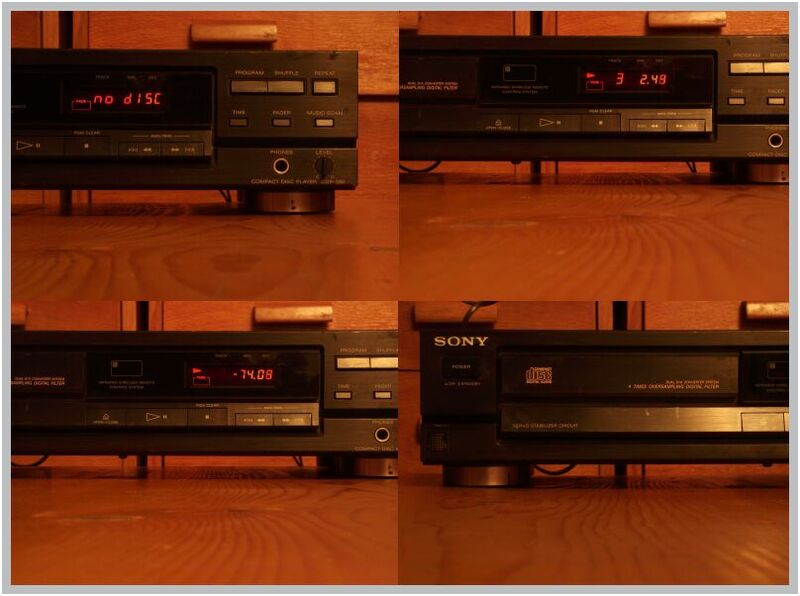 It has a remote controlled digital volume control for headphone and output and a dimmable display in 3 steps (step 3 is off). 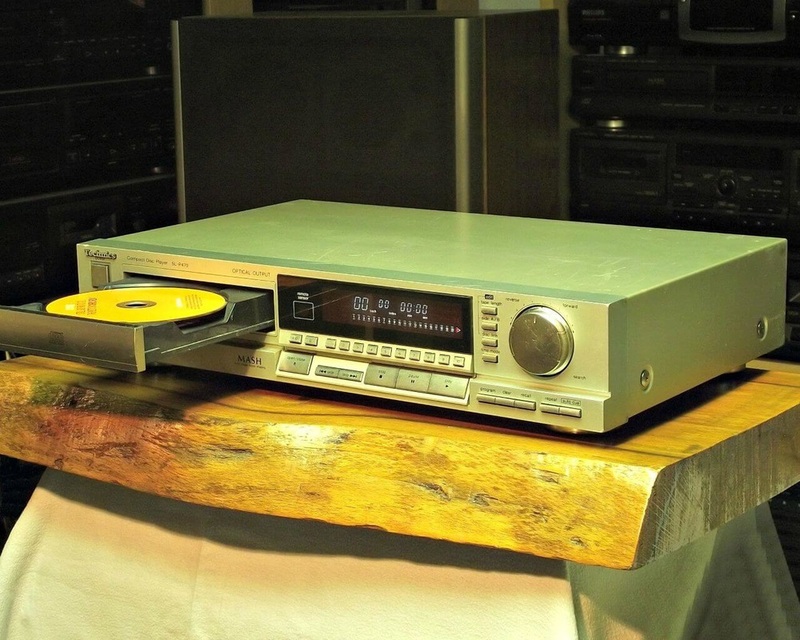 The orange (amber) display is a nice touch too.